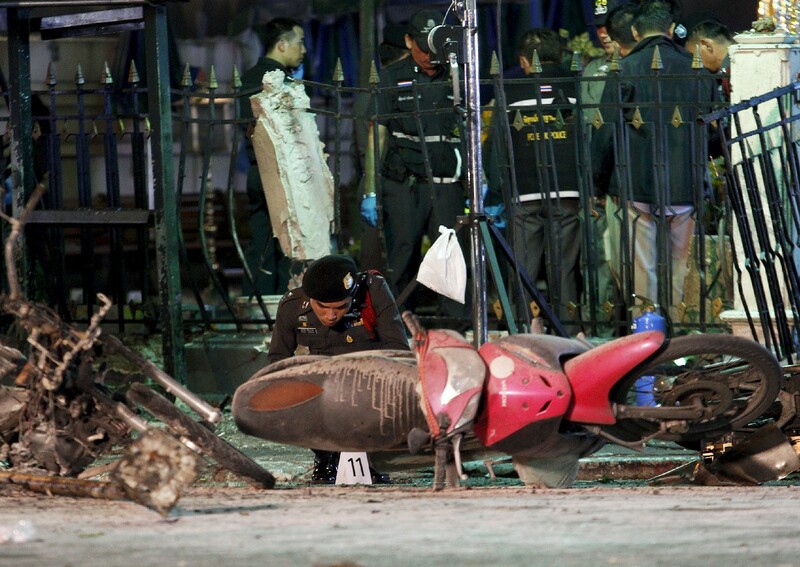 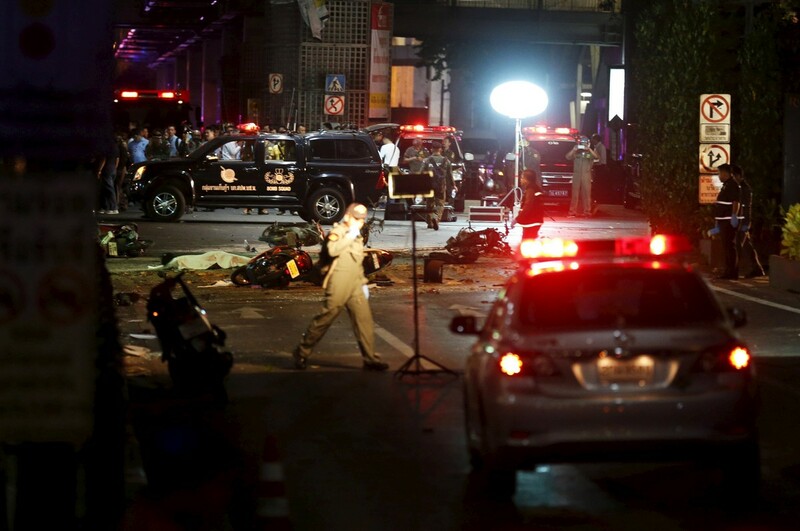 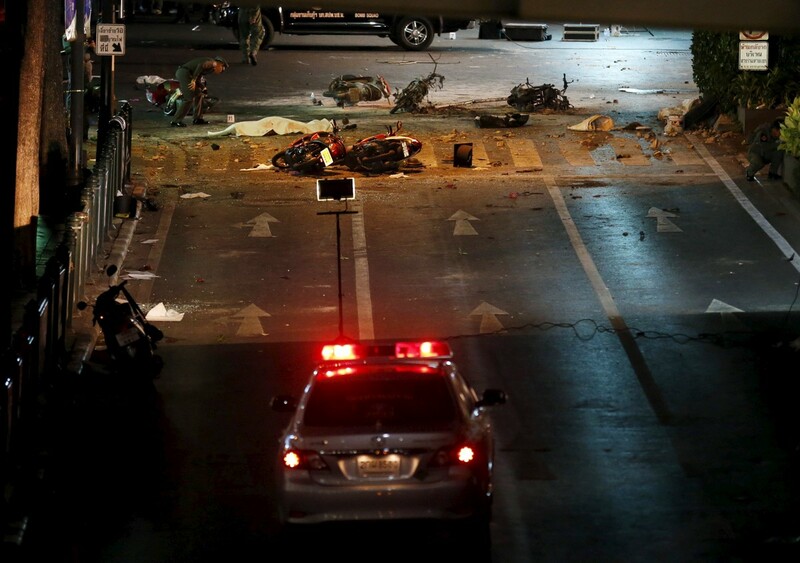 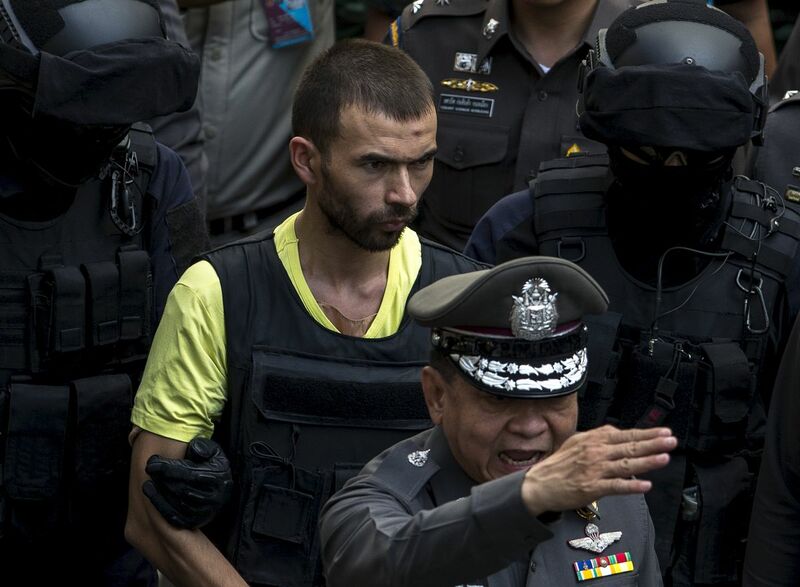 BANGKOK - Thai police on Saturday said they have detained a foreign man "likely involved" with a bomb attack in Bangkok last week that killed 20 people and wounded scores more. 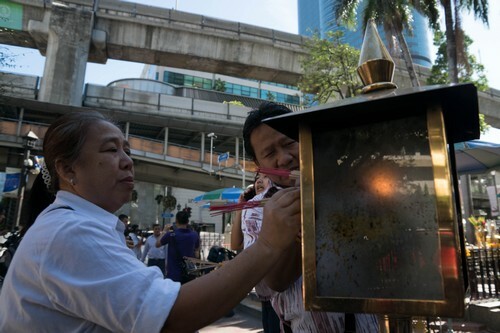 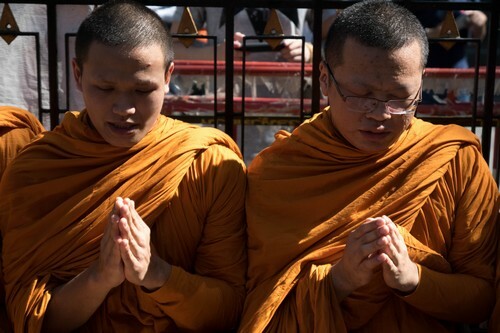 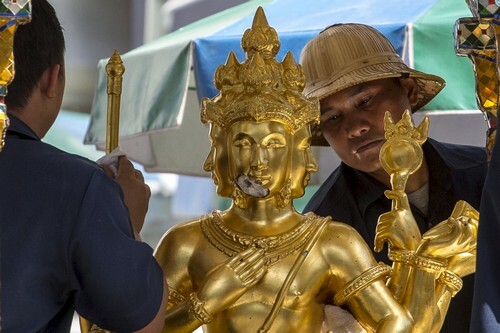 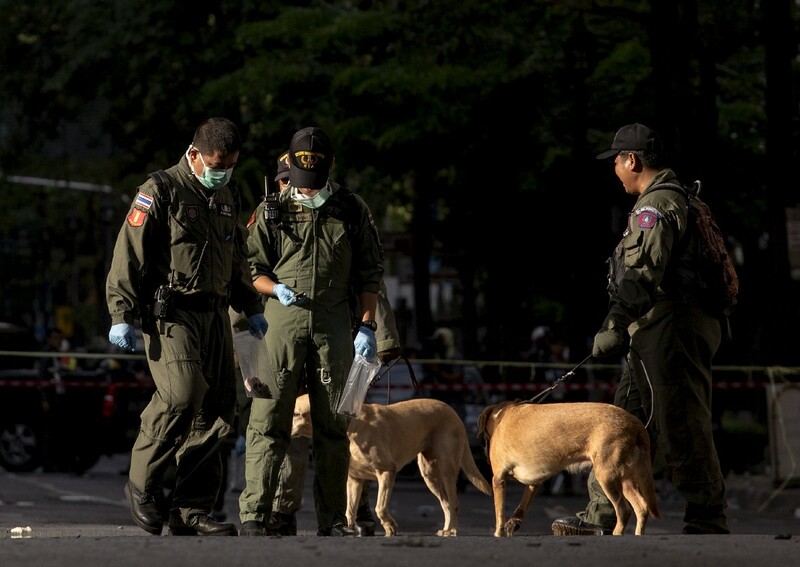 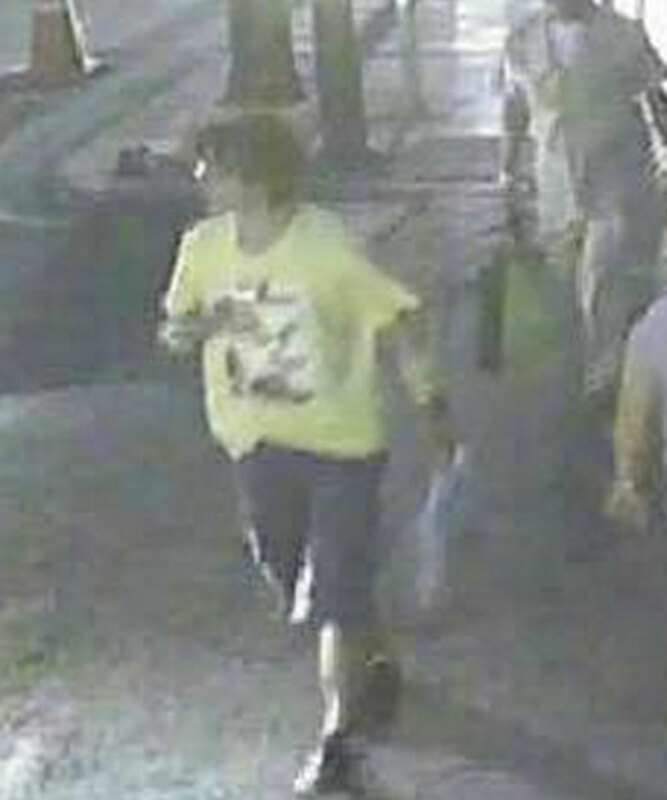 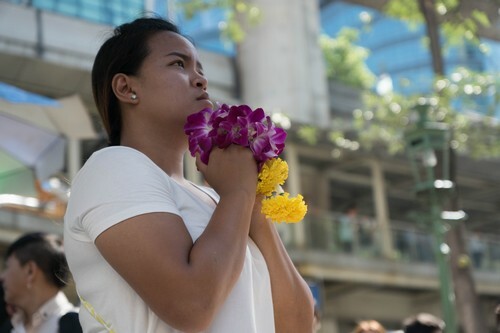 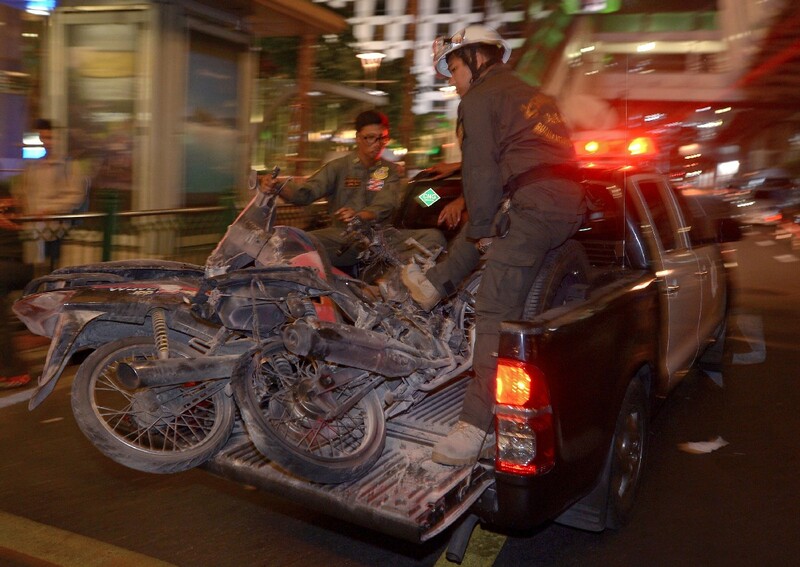 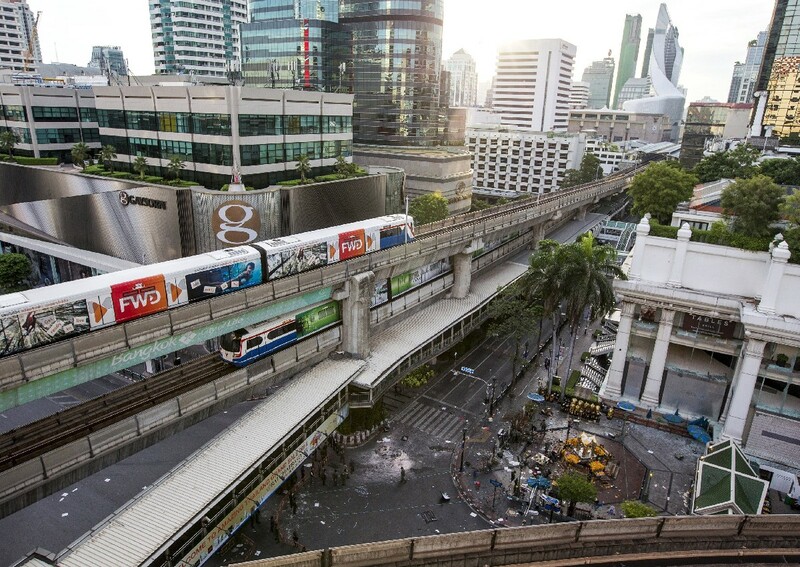 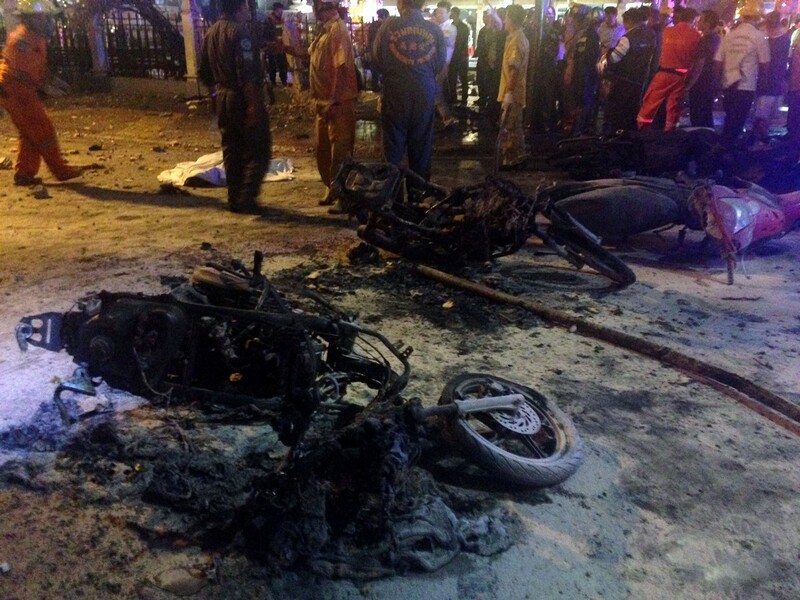 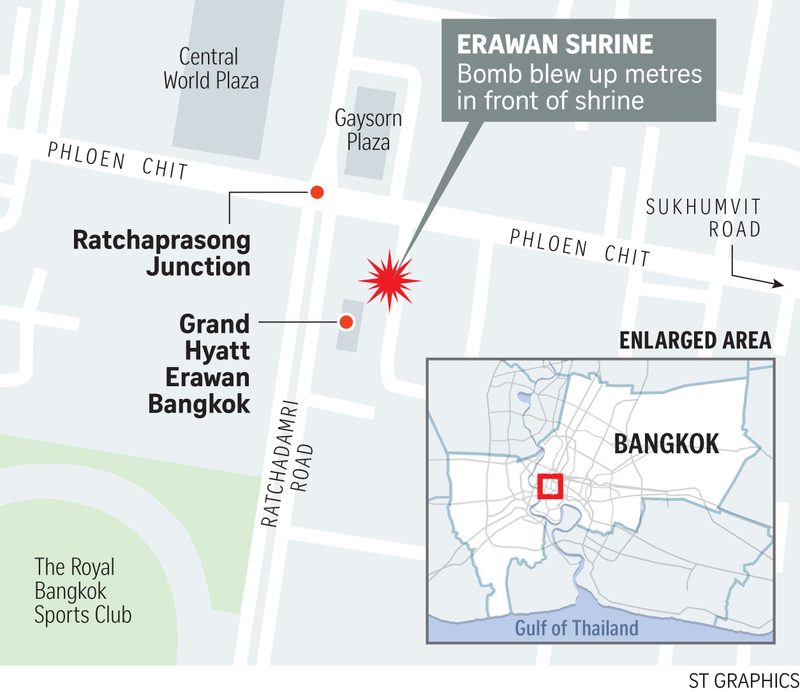 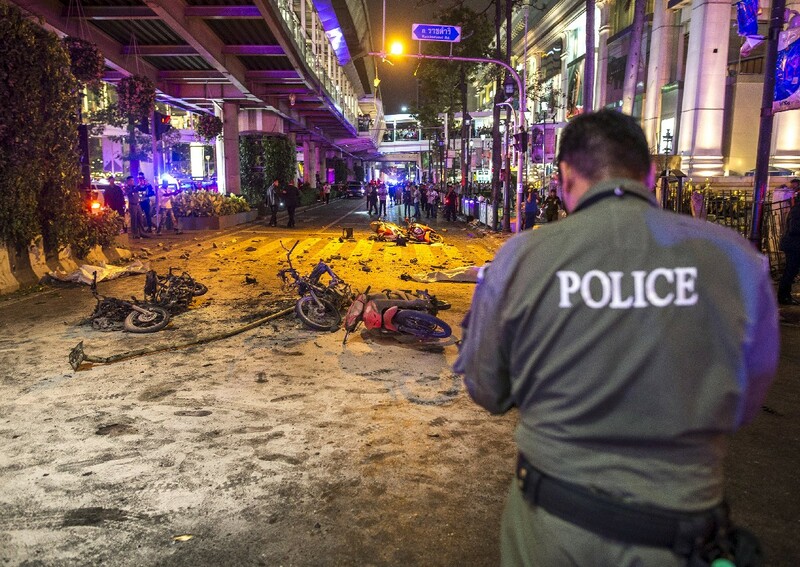 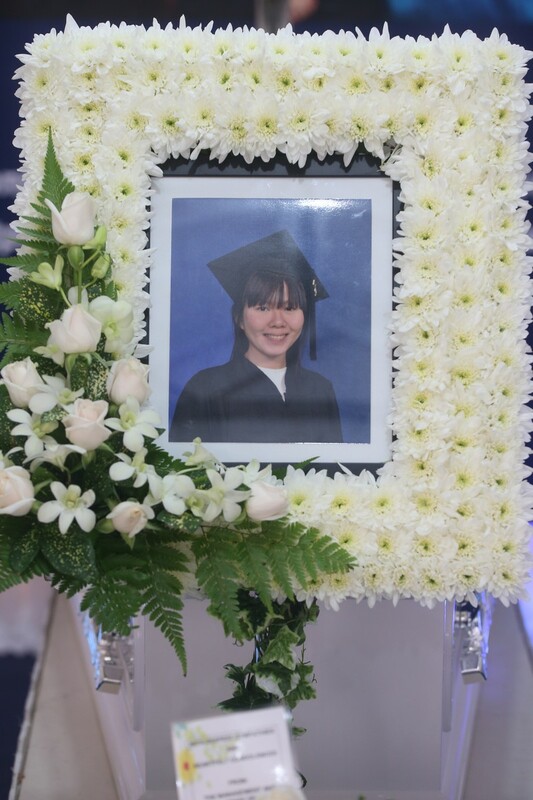 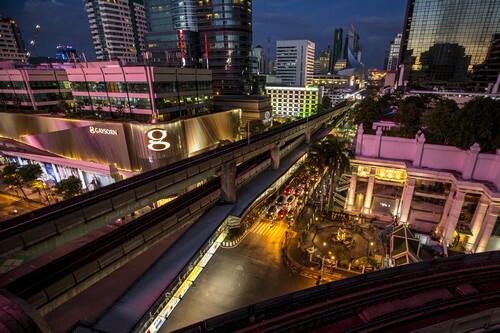 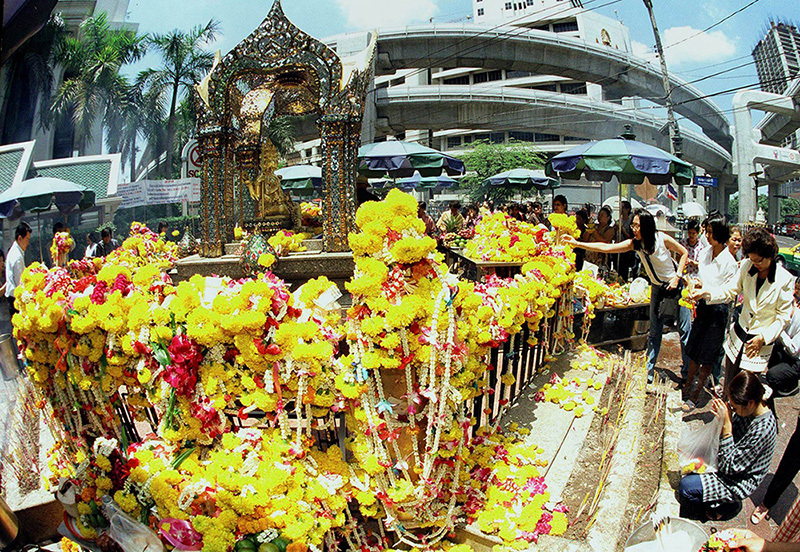 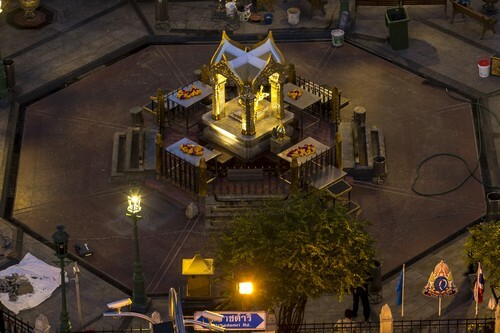 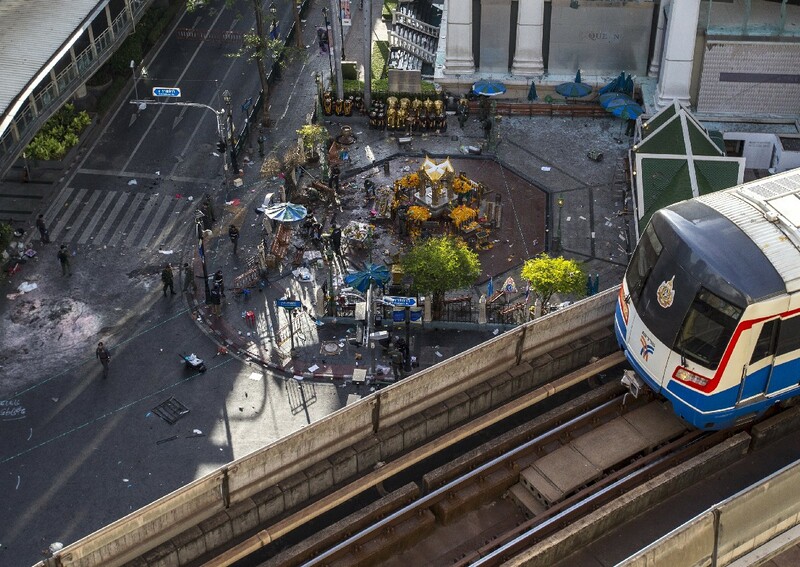 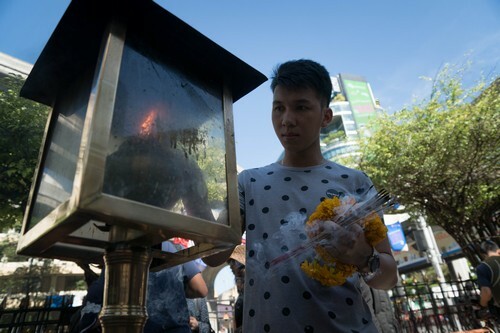 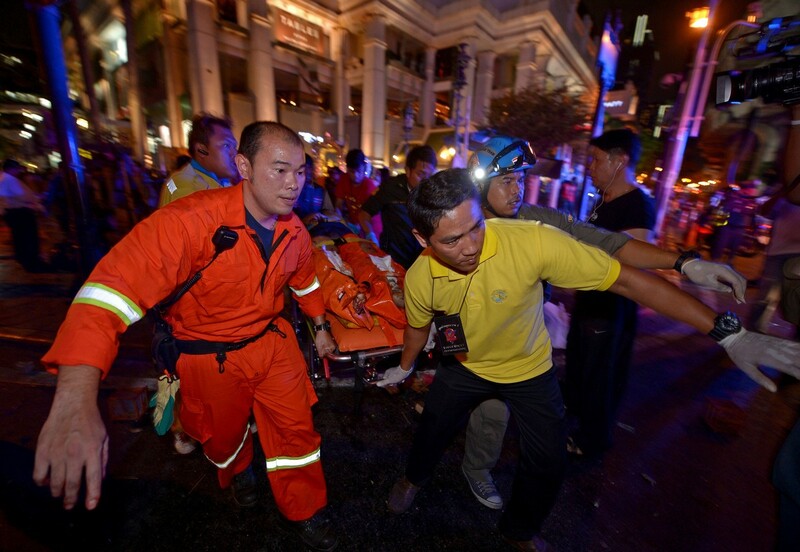 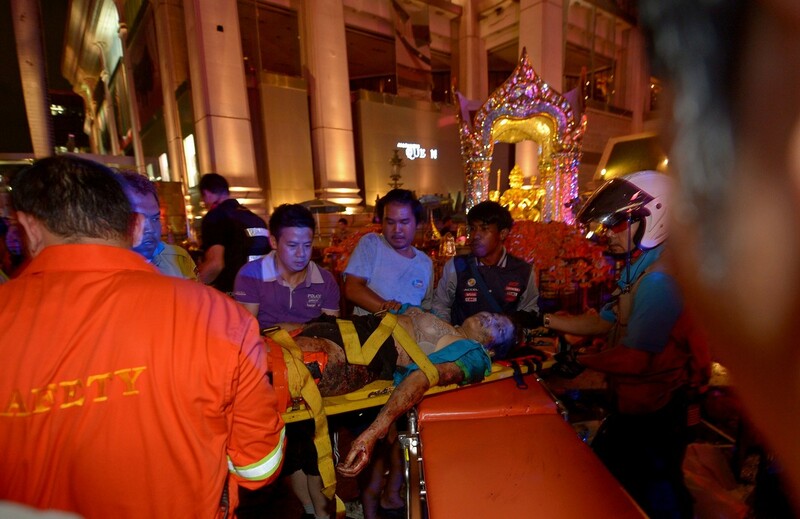 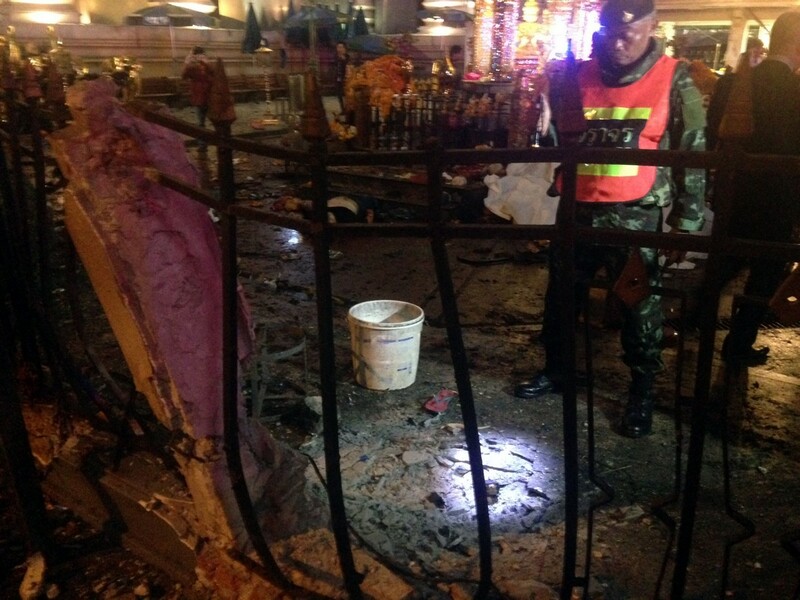 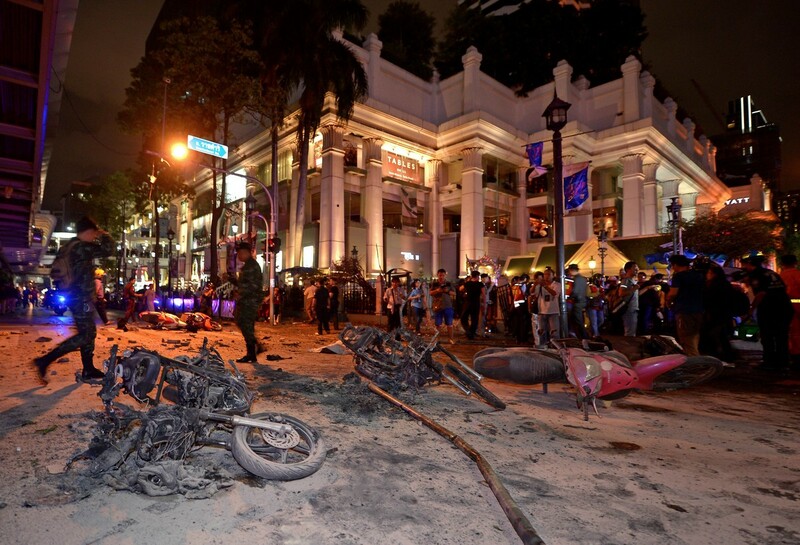 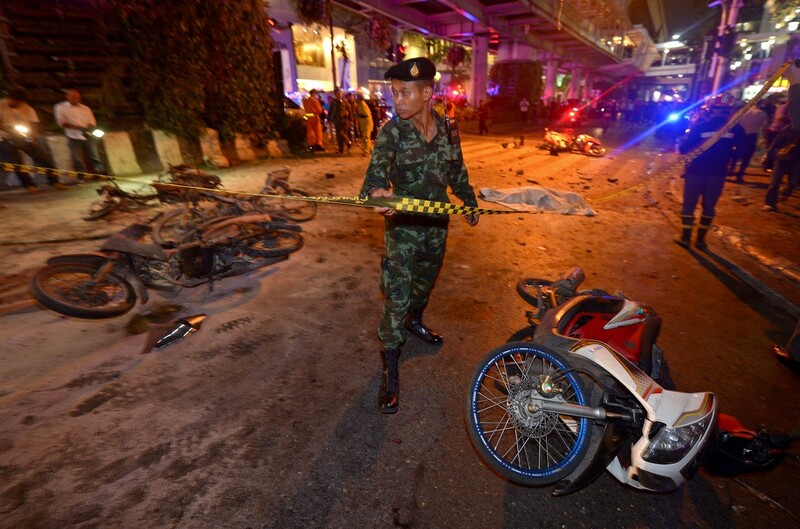 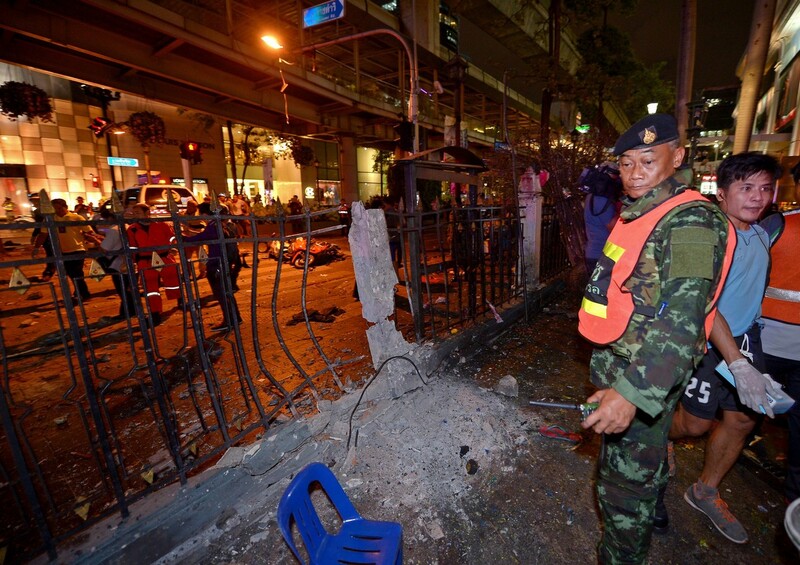 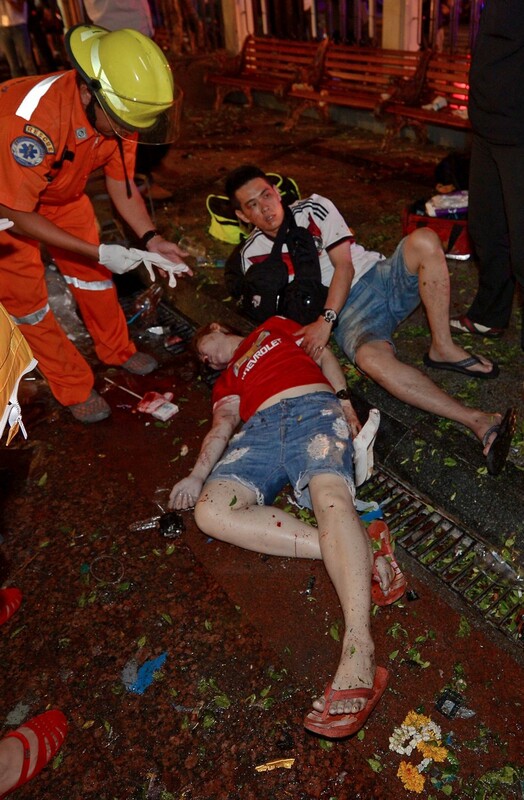 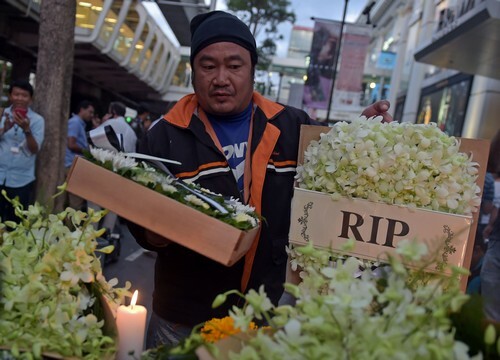 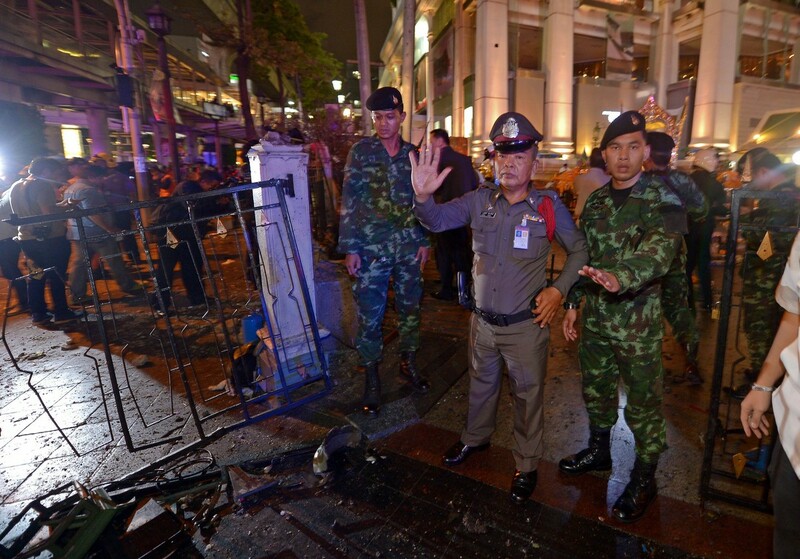 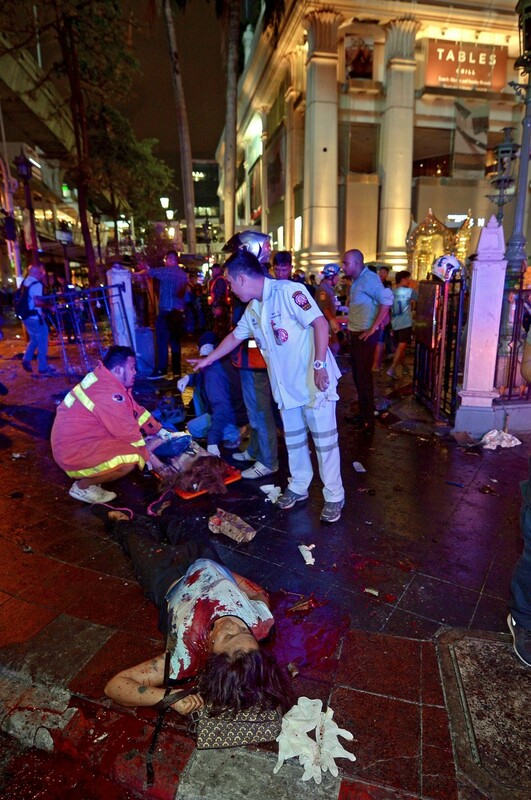 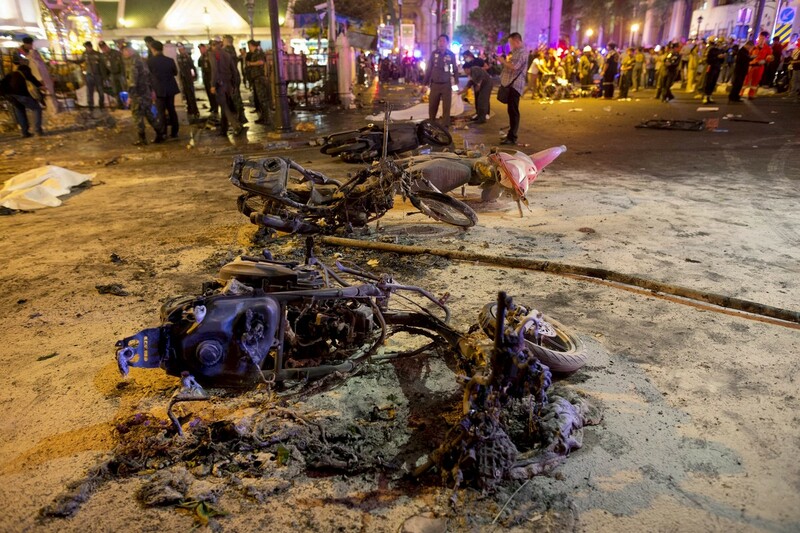 It is the first arrest in connection with the bombing at the Erawan shrine in the capital's bustling downtown district last Monday 17 August which killed mostly Asian visitors, in Thailand's worst single mass-casualty attack. 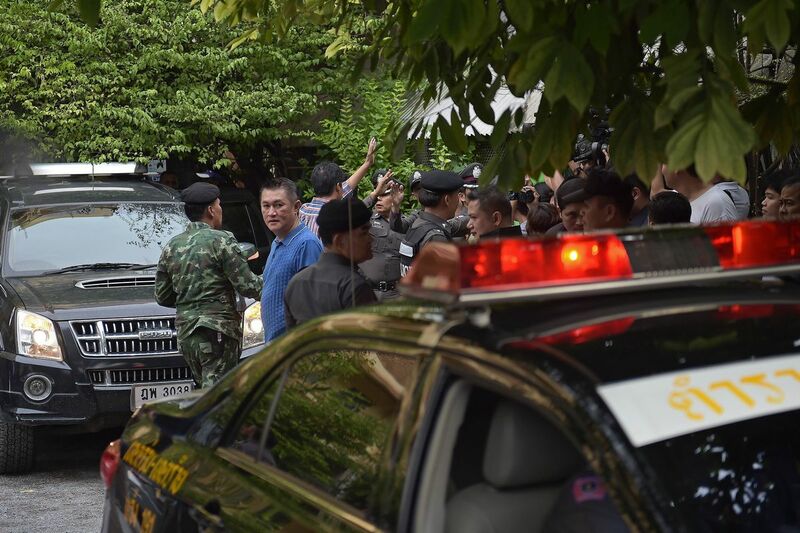 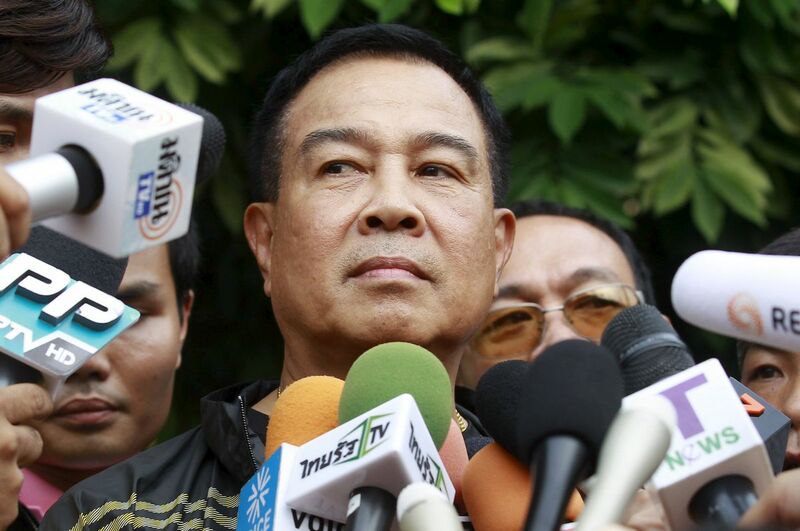 "We have detained one person," deputy national police chief General Chaktip Chaijinda told reporters in a live televised broadcast on Saturday afternoon. 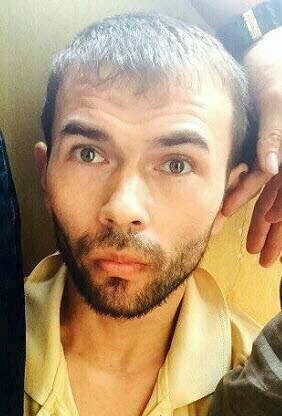 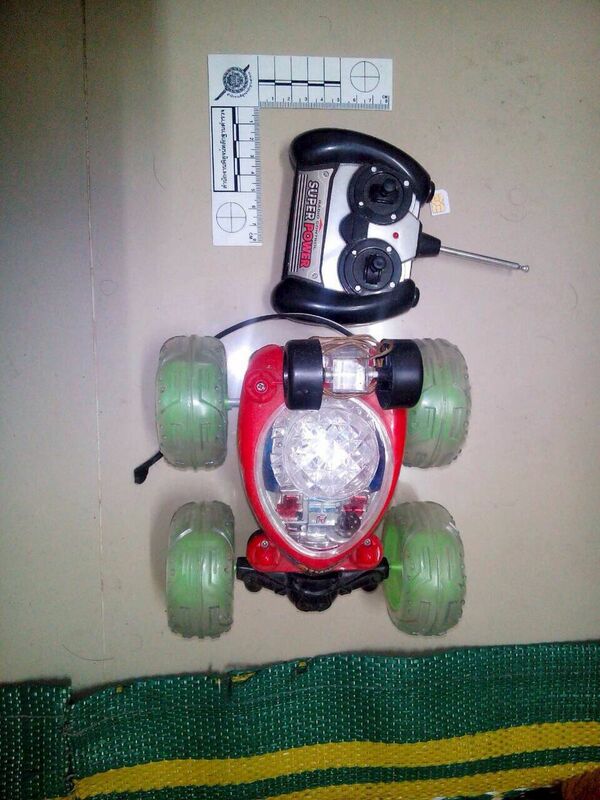 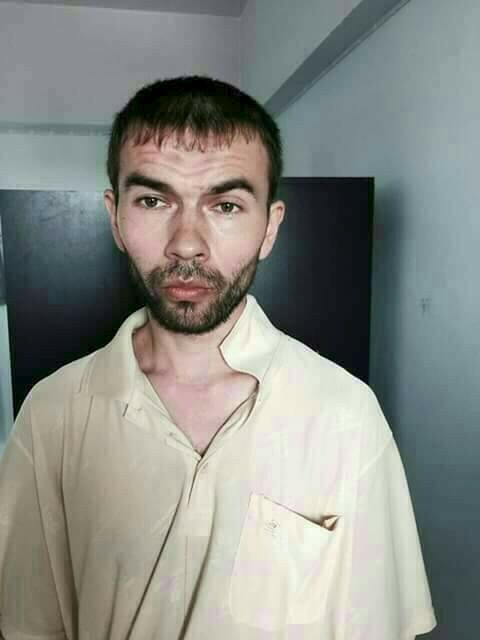 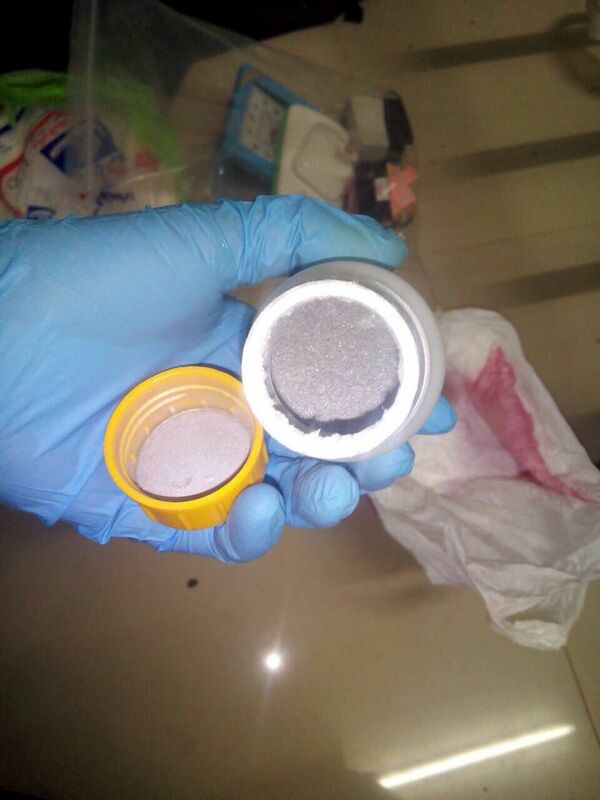 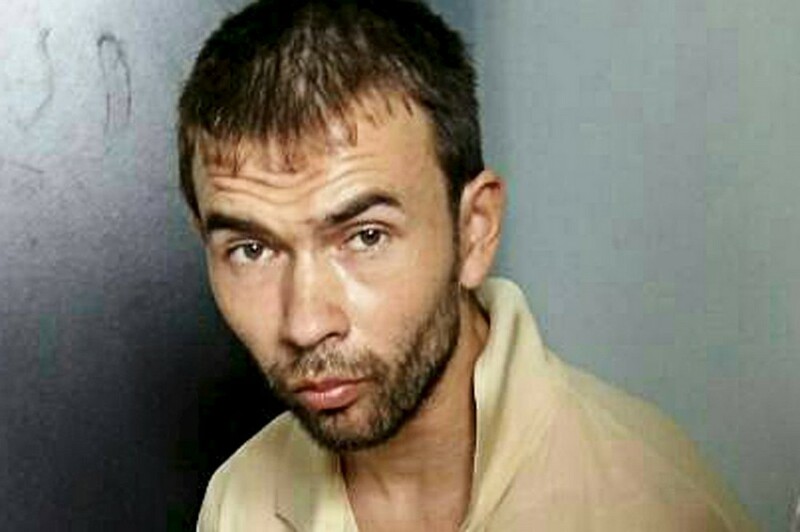 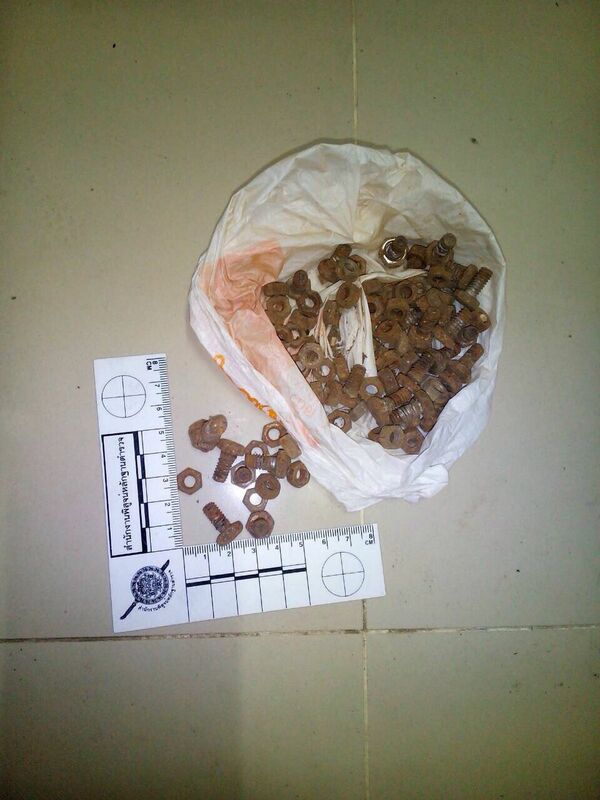 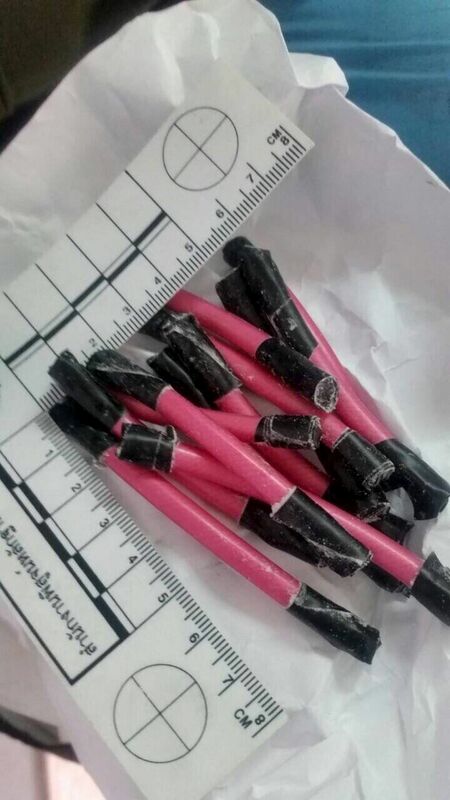 "We have found components of bomb-making materials in his apartment and I am confident that he is likely involved with the bomb attack," he said on broadcaster T News. 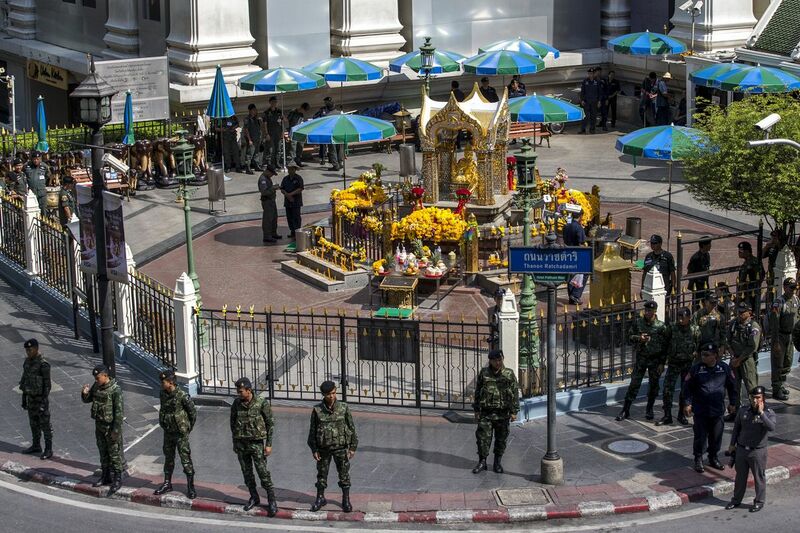 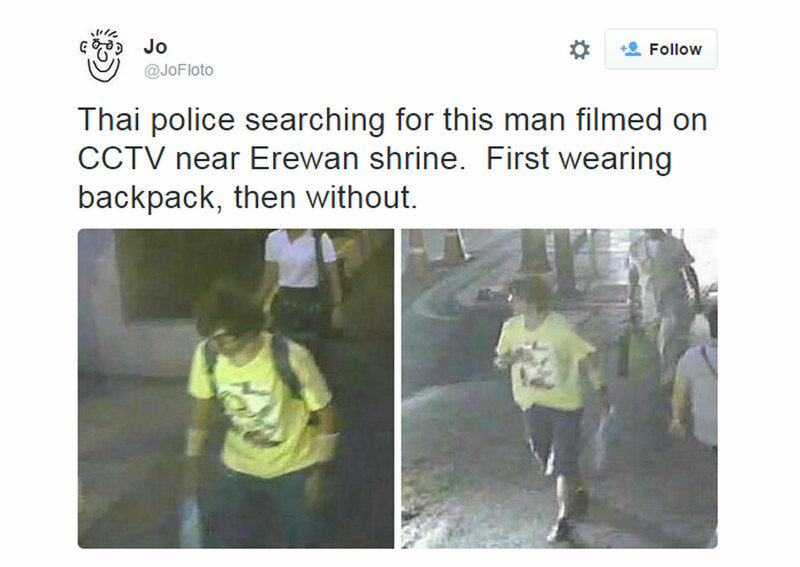 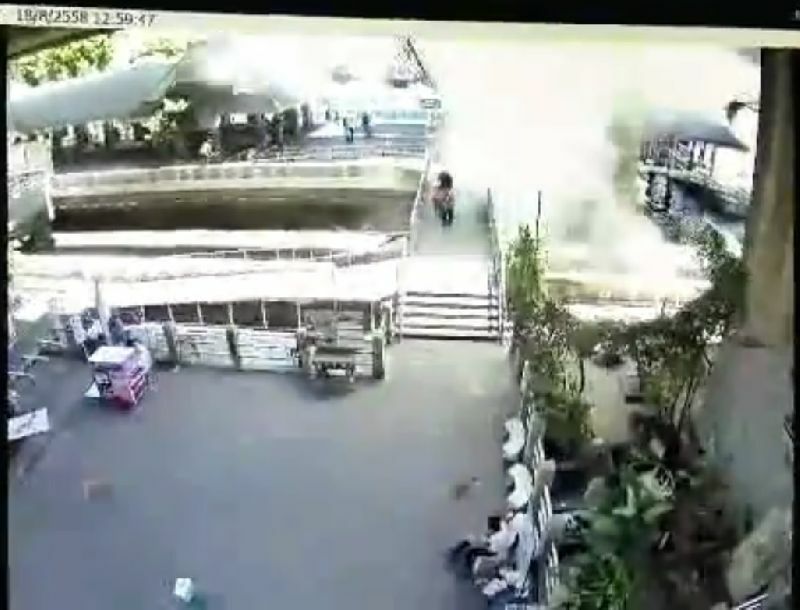 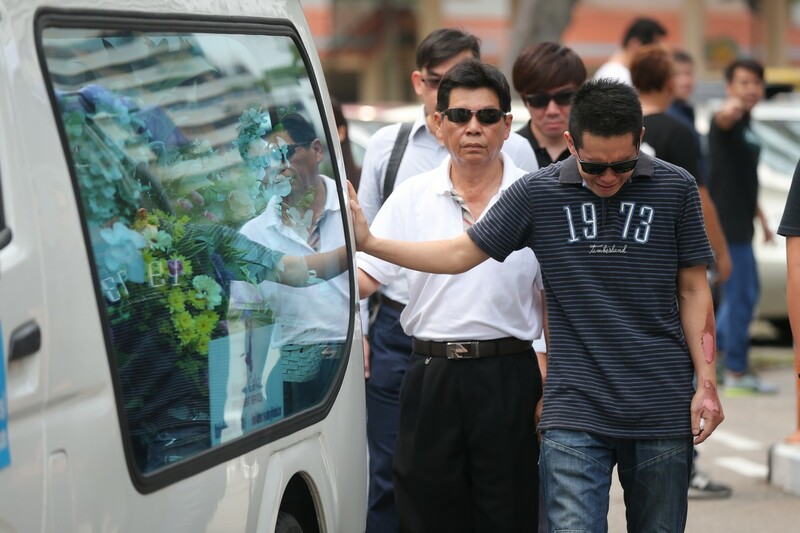 Police had been searching for a prime suspect, described as a foreign man, who was captured wearing a yellow t-shirt and leaving a bag at the shrine moments before the blast on security cameras. 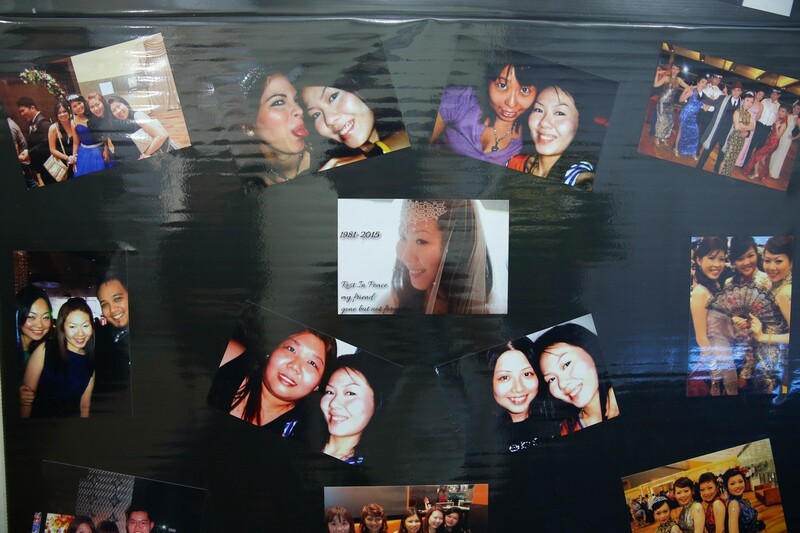 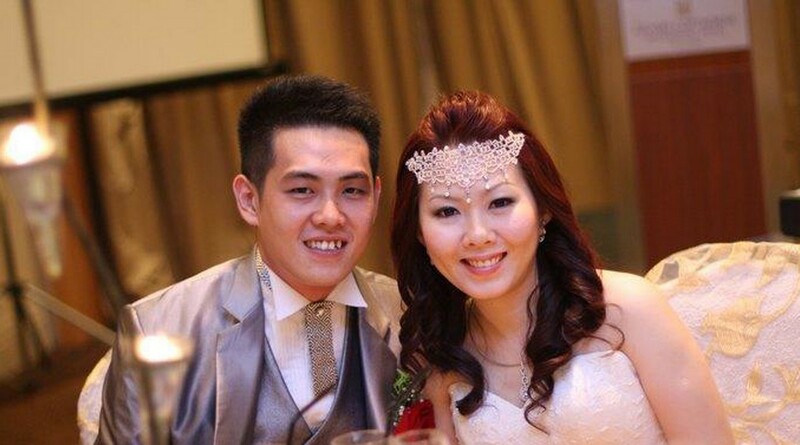 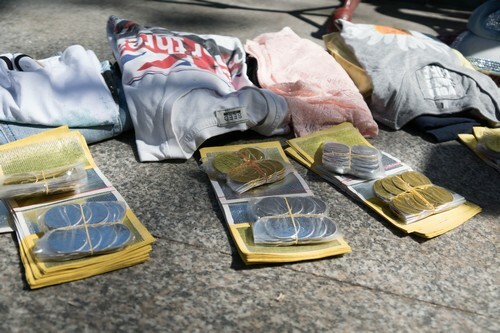 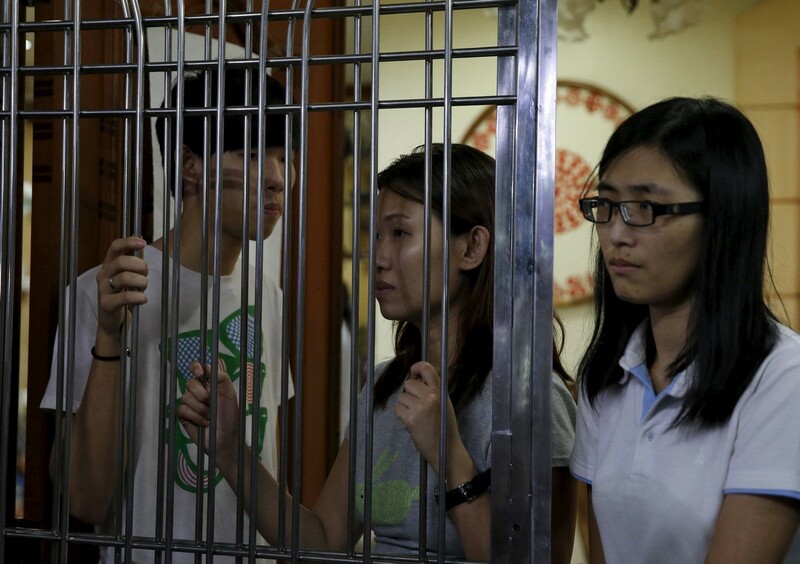 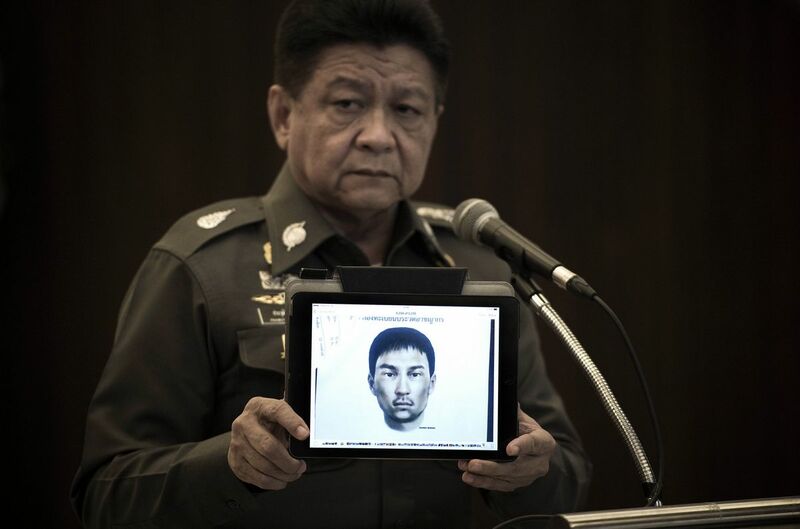 But on Saturday Chaktip said it was "not yet clear" whether the man now detained is the same as the one in these images. 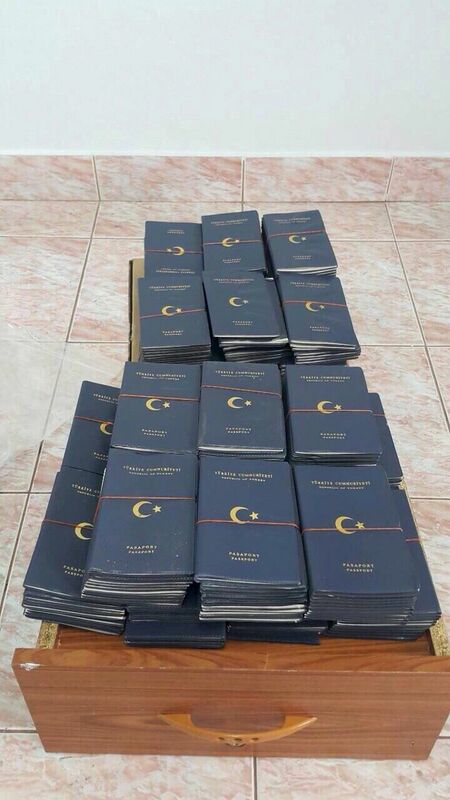 "We found dozens of passports inside his room, we have to check which nationalities they belong to," he said on the televised broadcast. 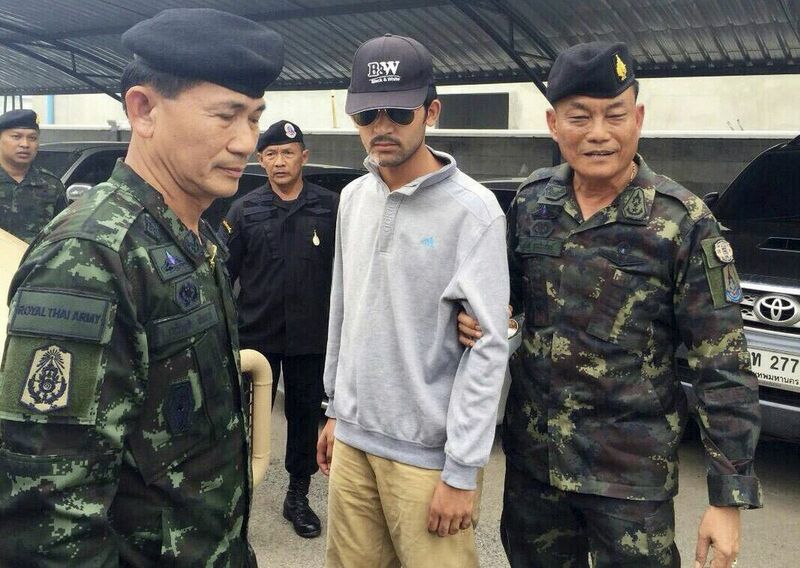 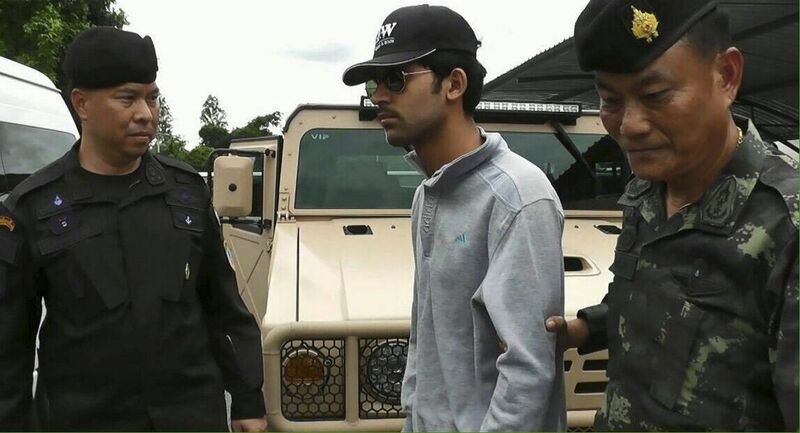 National police spokesman Prawut Thavornsiri told AFP the detained man was a "foreigner" now in military custody but could not yet confirm his nationality. 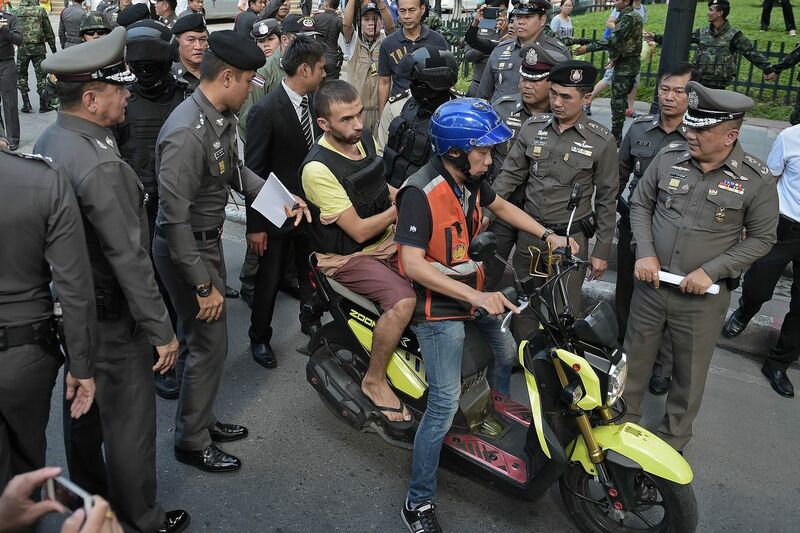 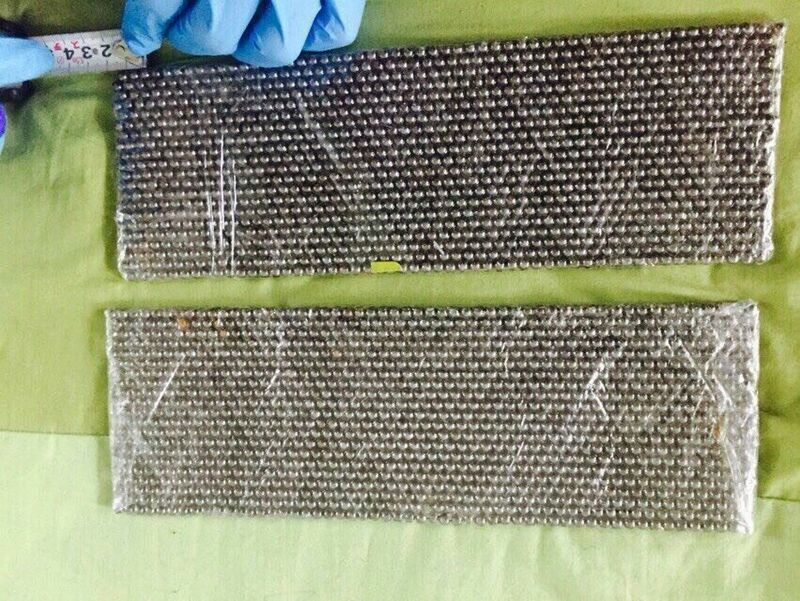 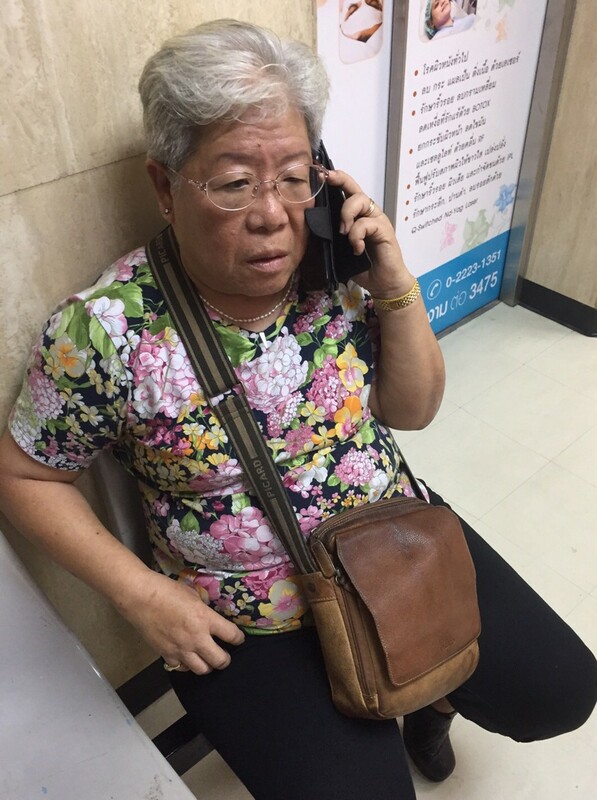 According to local media the man was arrested in an apartment block in Nong Chok district in the eastern outskirts of Bangkok. 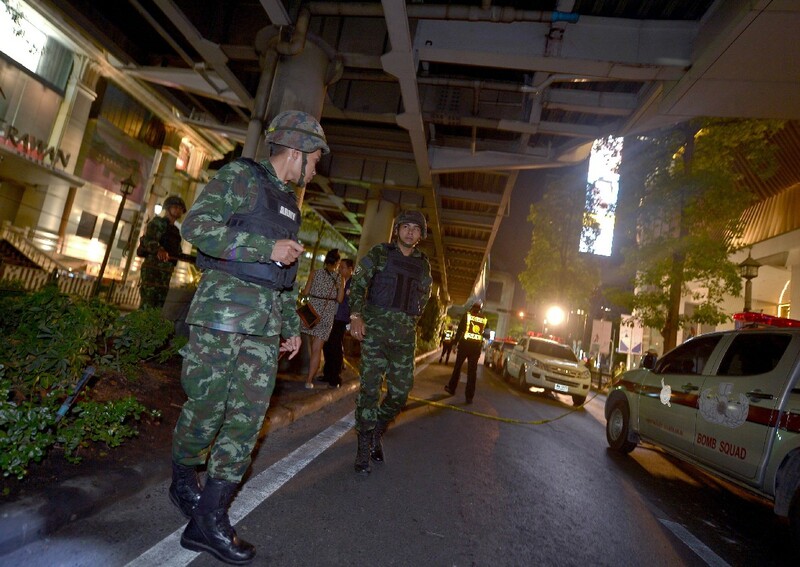 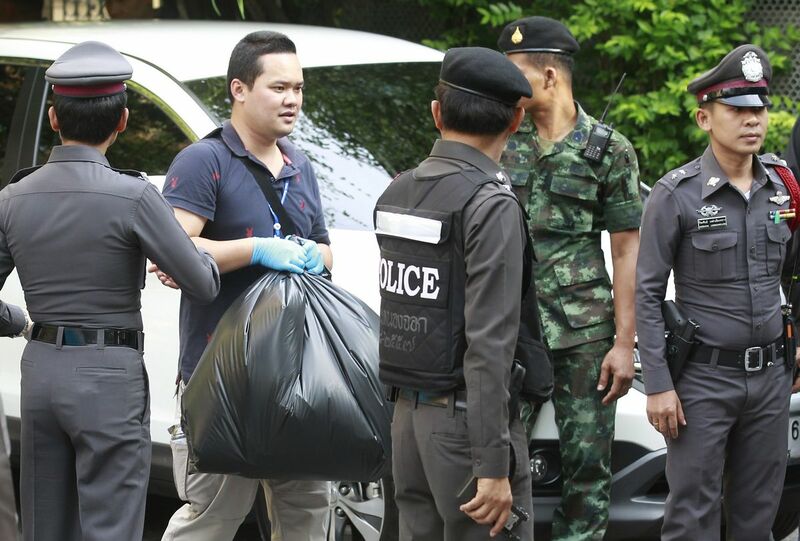 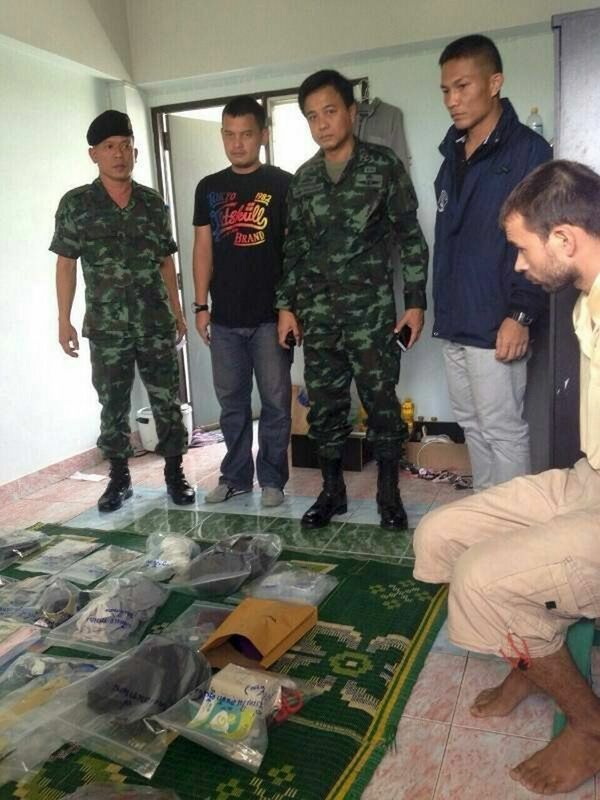 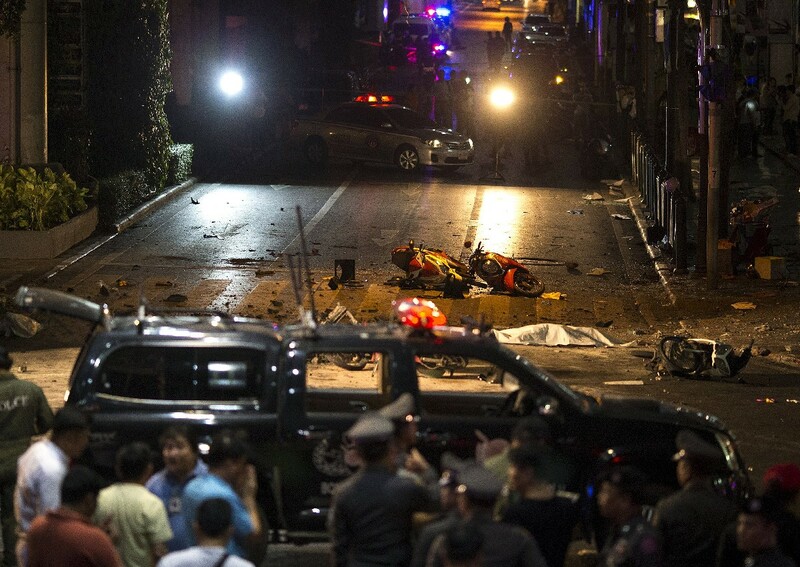 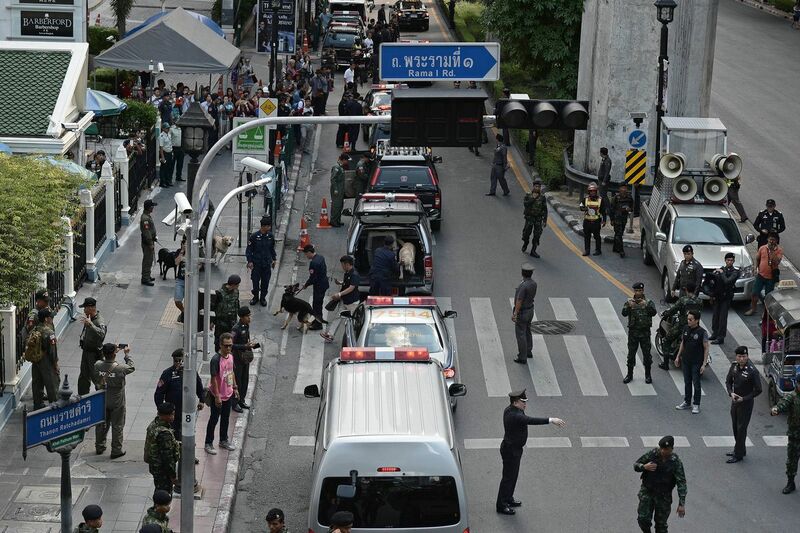 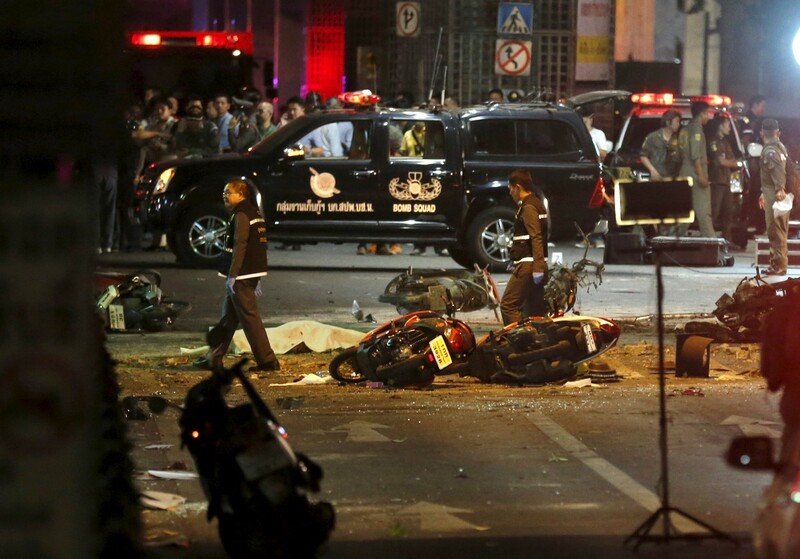 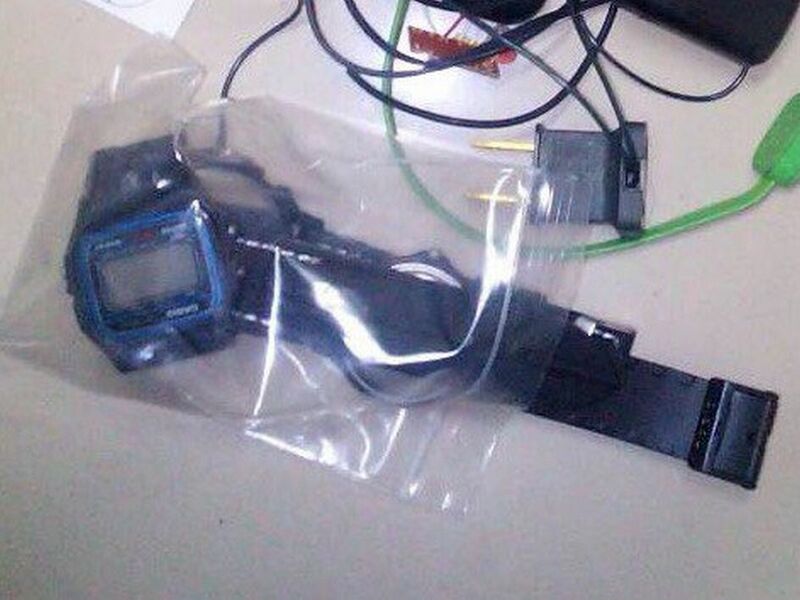 In later comments on Thai broadcaster Channel 3, Prawut said the "clothes and bomb-making materials" found in the detained man's room was linked to the shrine attack as well as to a second blast last Tuesday near a popular tourist pier which left no casualties. 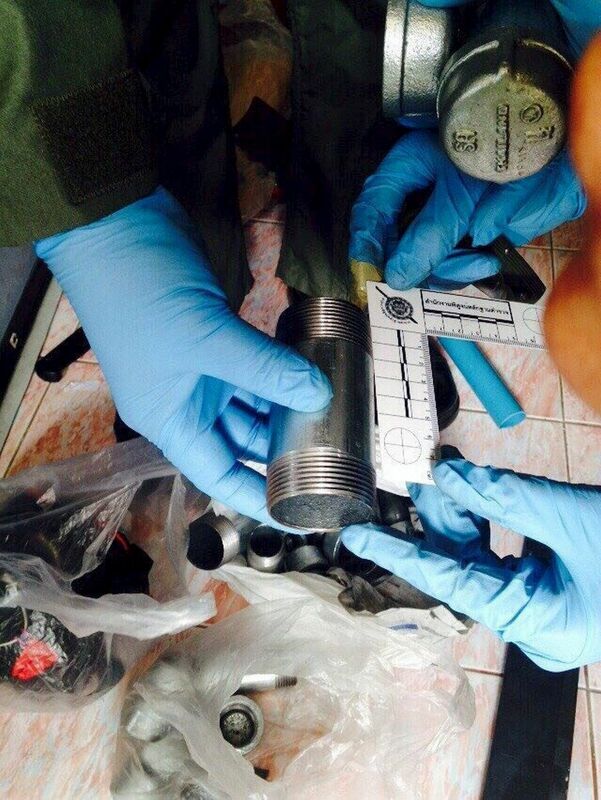 "The ball bearing is the same size" as those found at the two blast sites, he said. 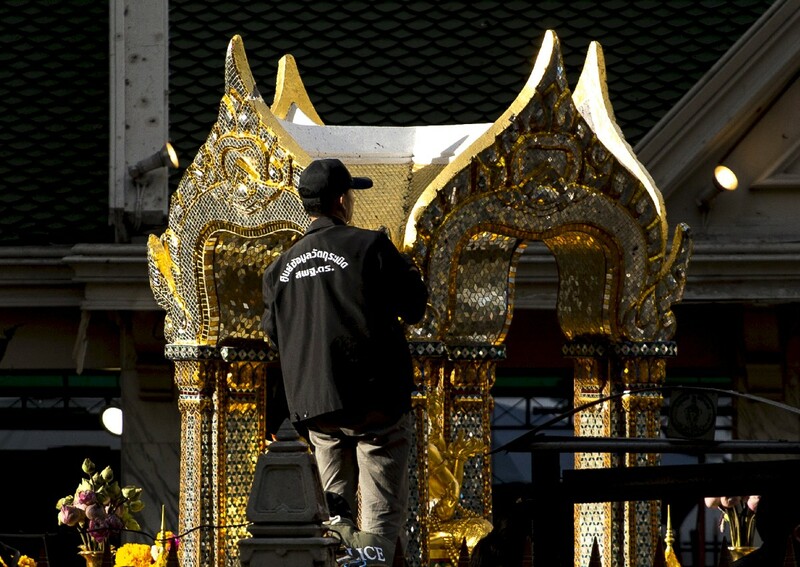 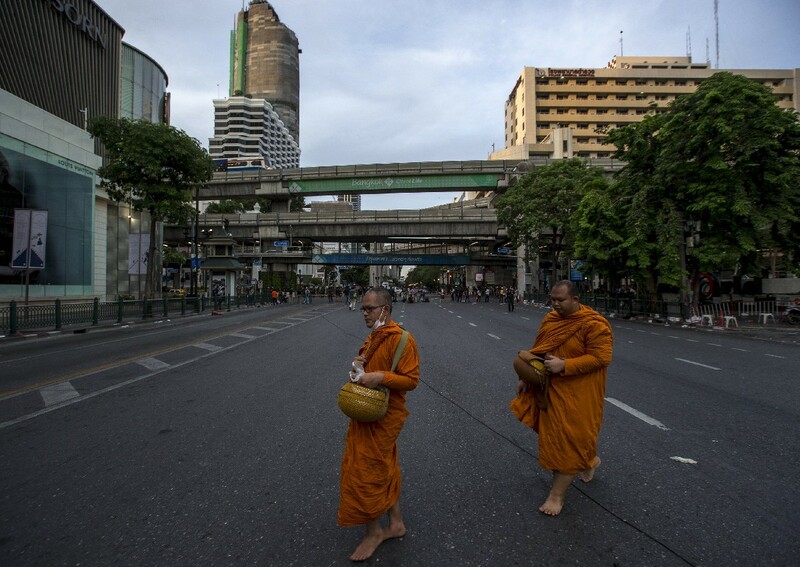 The attack on the Hindu shrine in Bangkok last week has left the vibrant city rattled and dealt a fresh blow to the kingdom's reputation as a welcoming and safe travel destination. 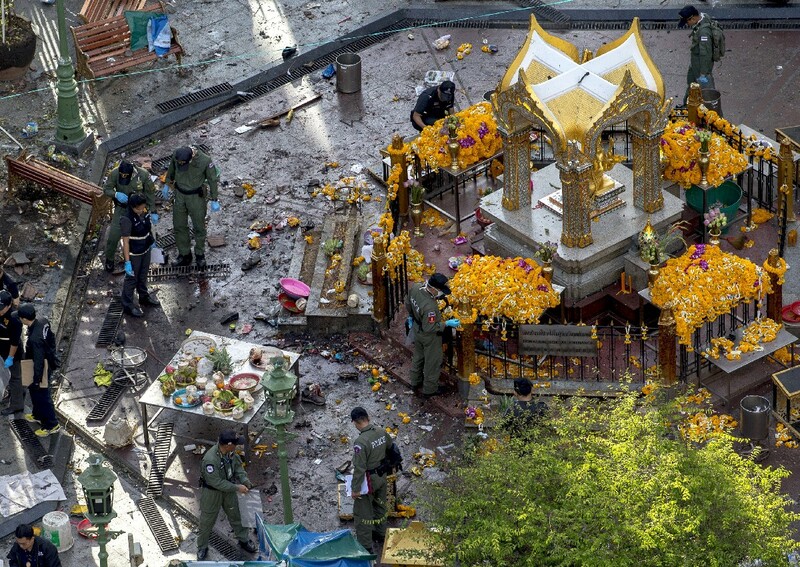 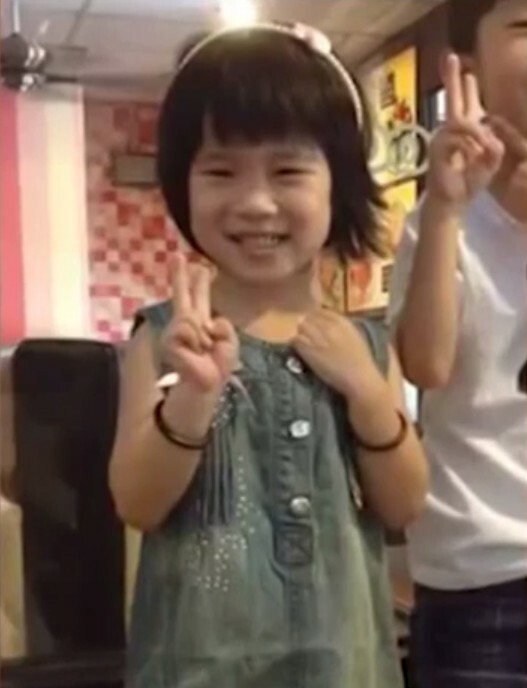 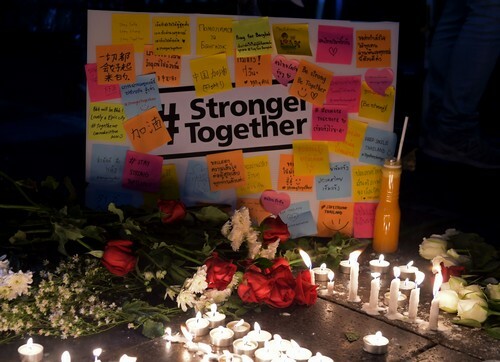 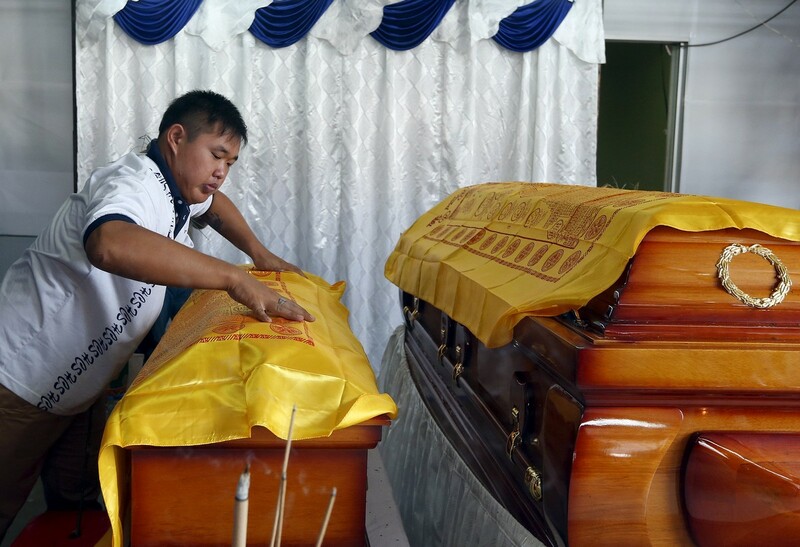 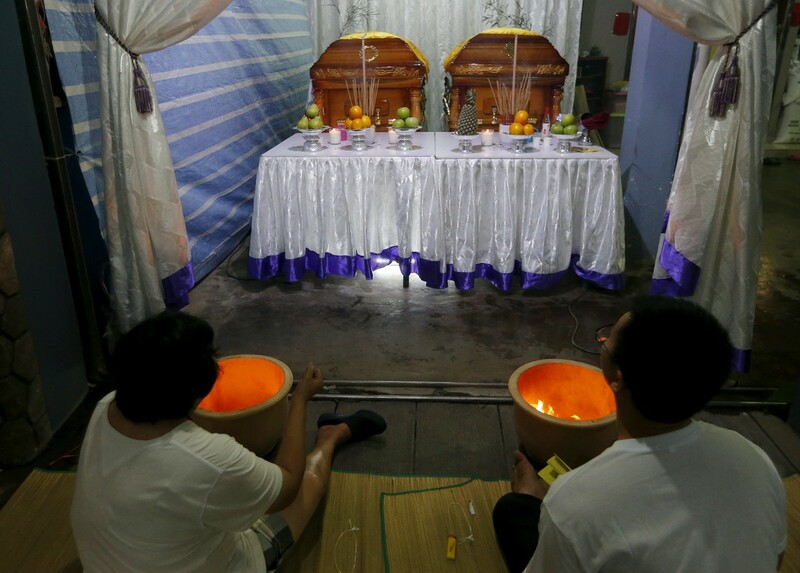 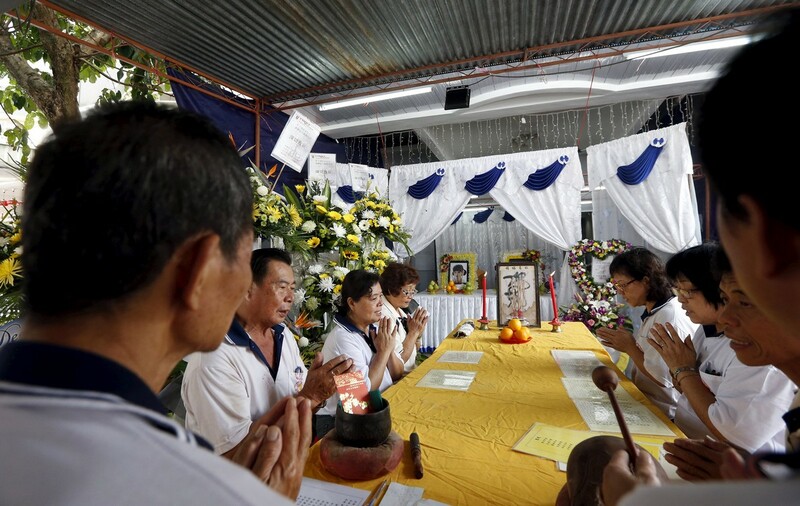 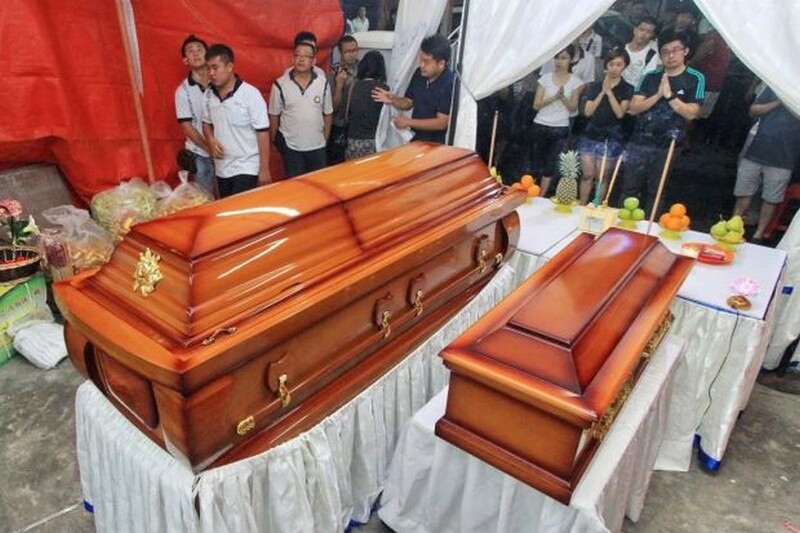 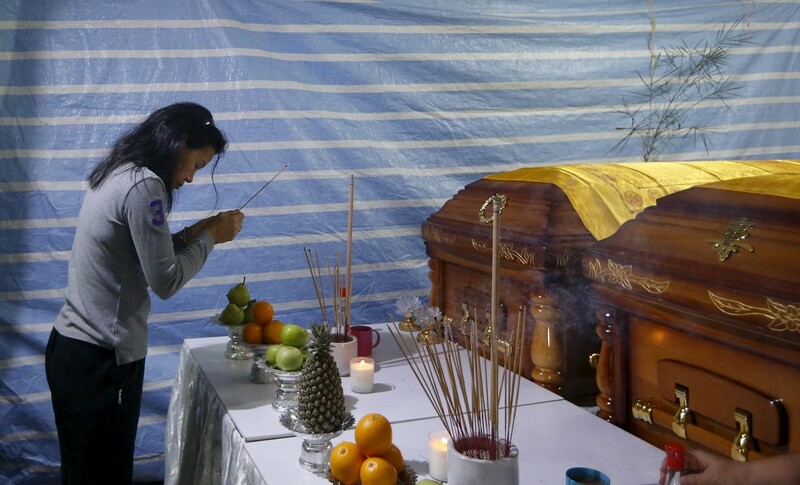 The majority of those killed were ethnic Chinese worshippers from across Asia, who flocked to the shrine in the belief that prayers there bring good fortune. 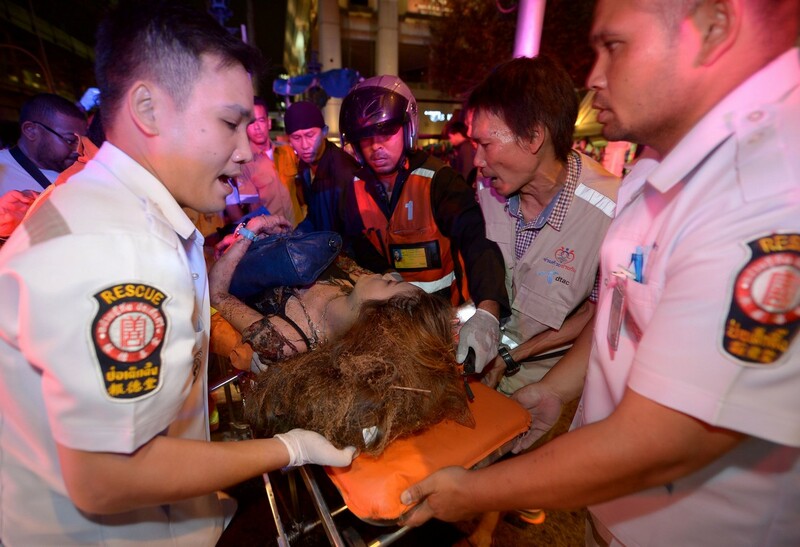 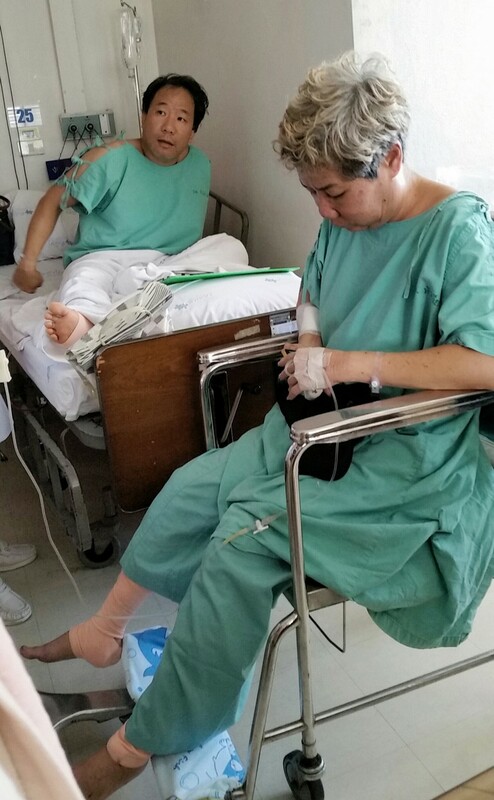 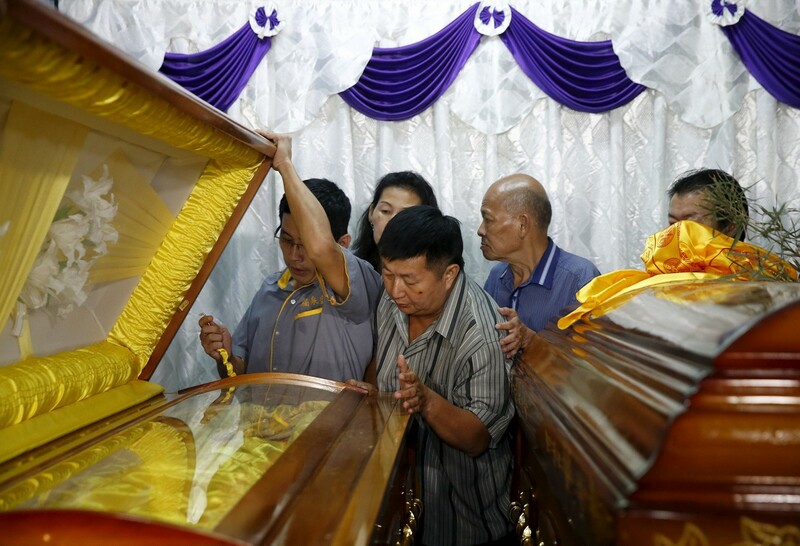 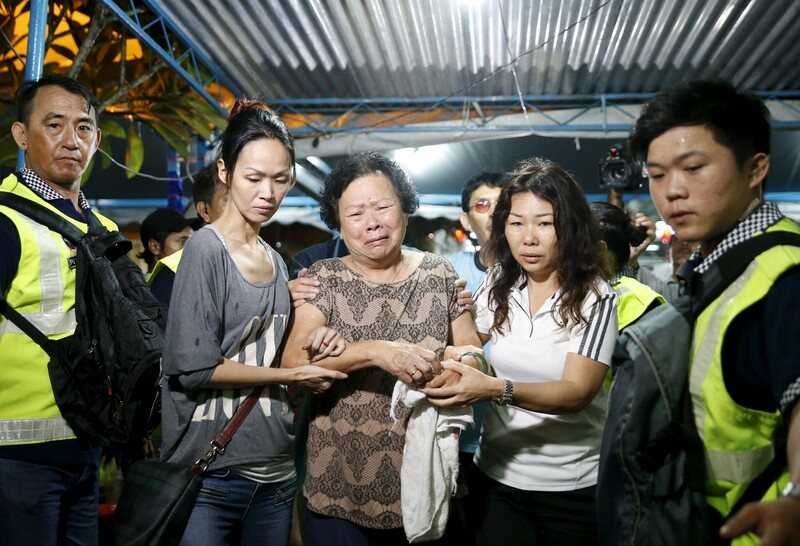 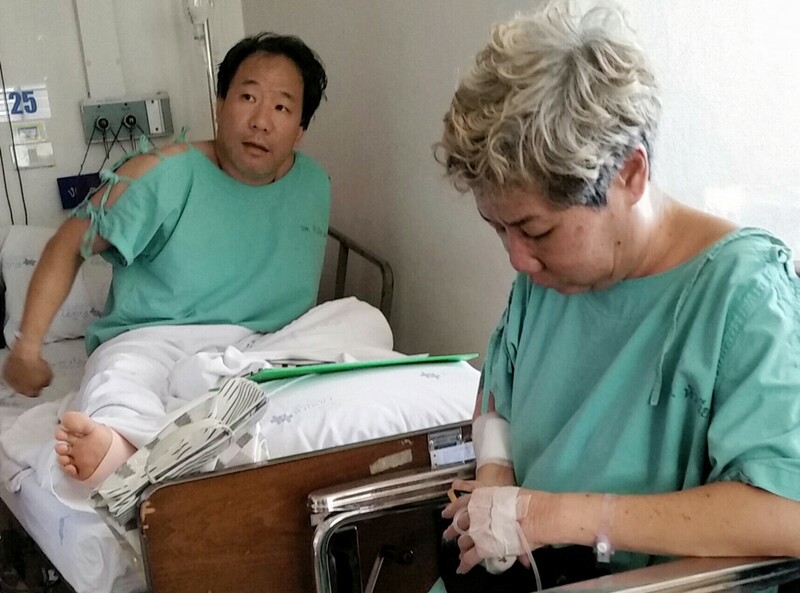 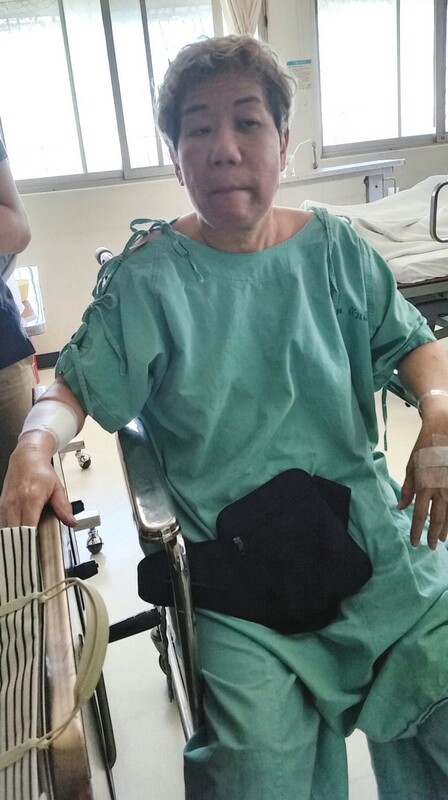 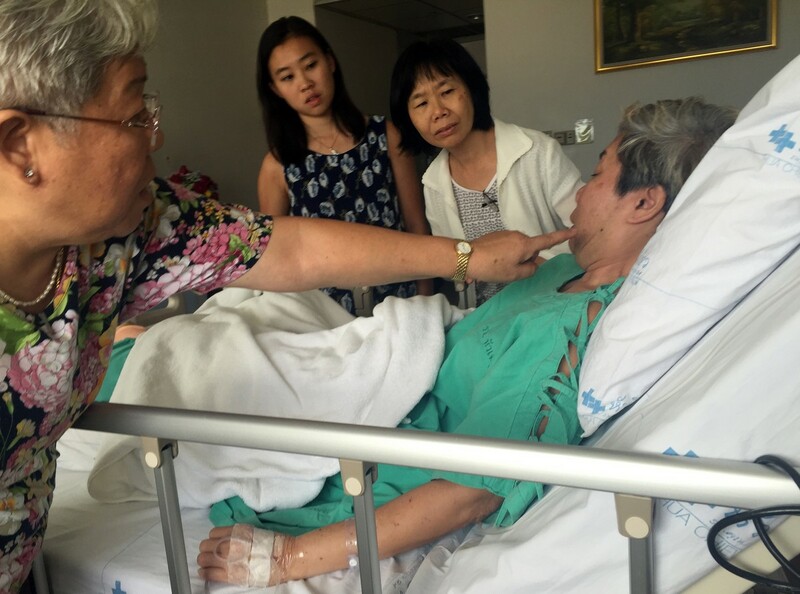 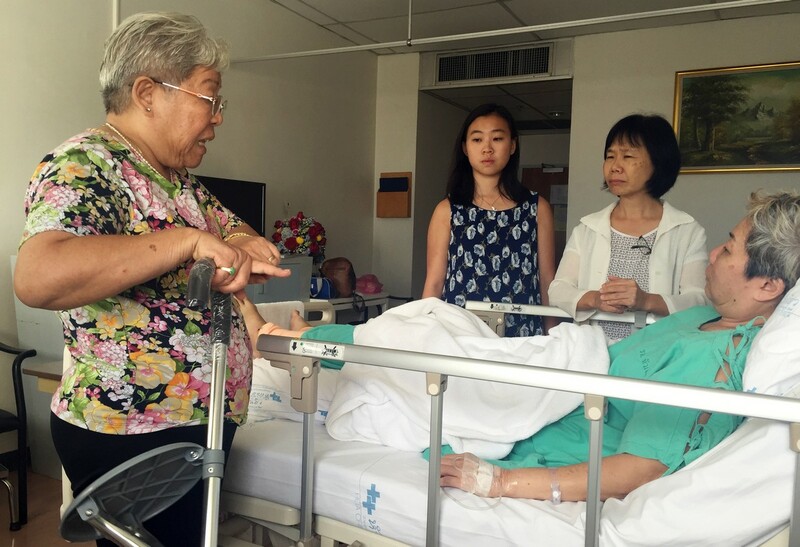 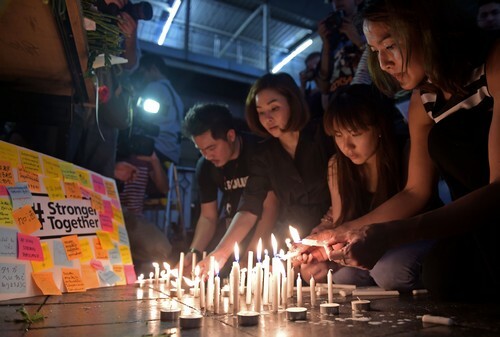 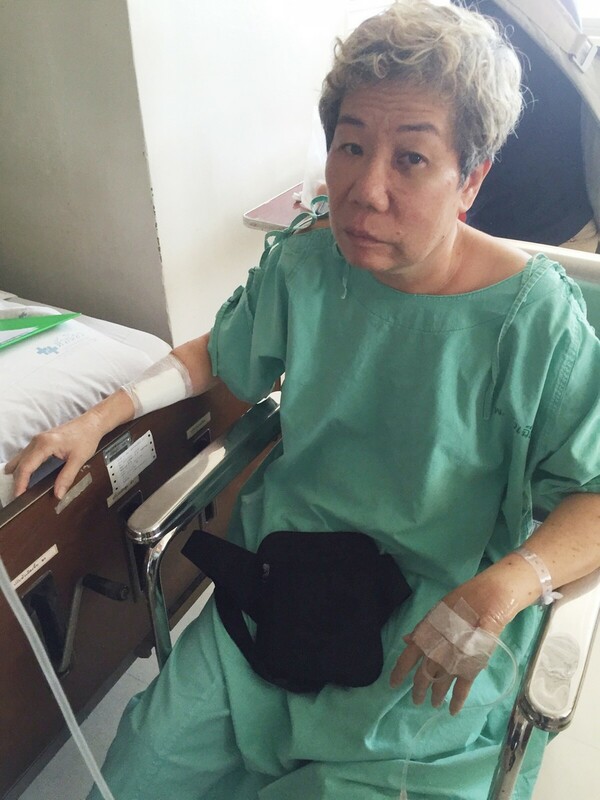 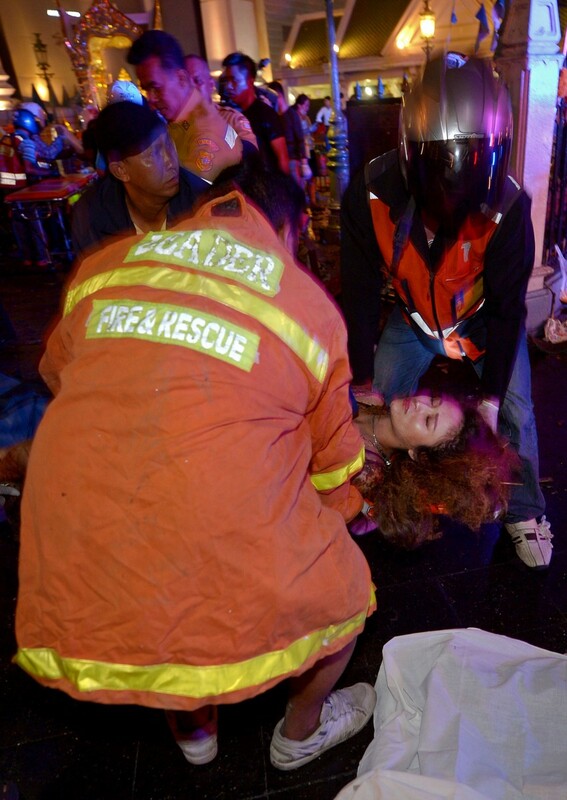 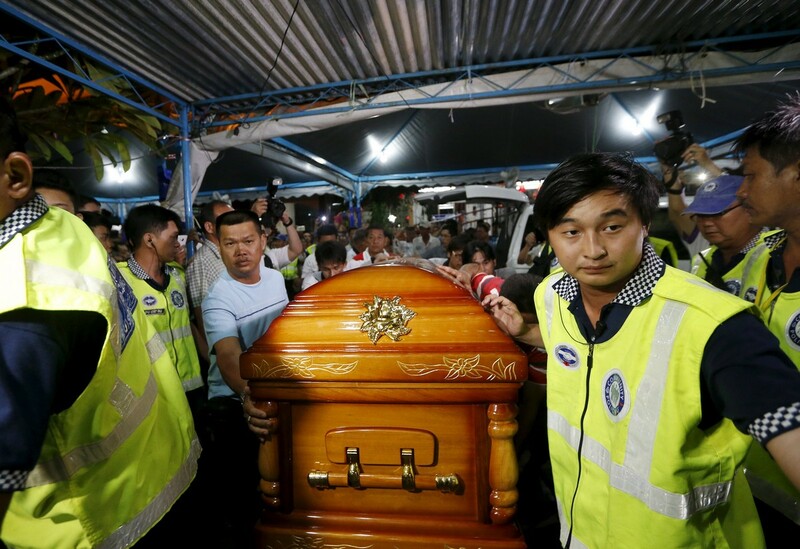 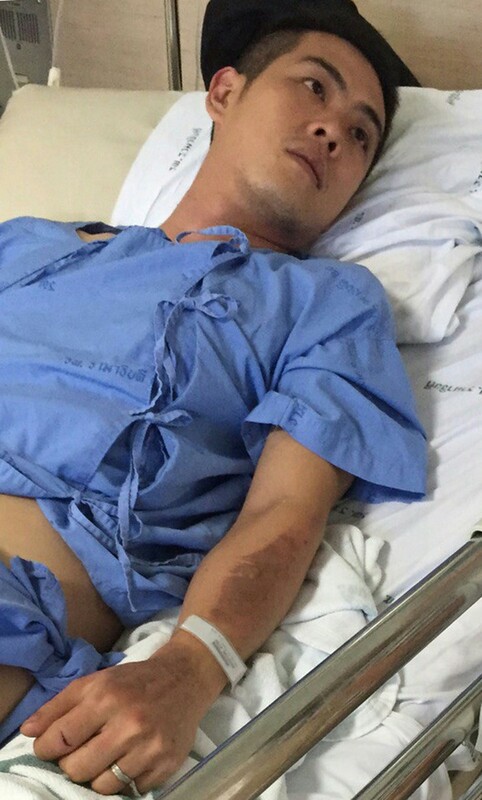 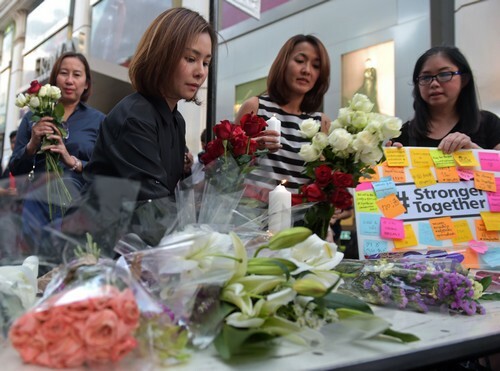 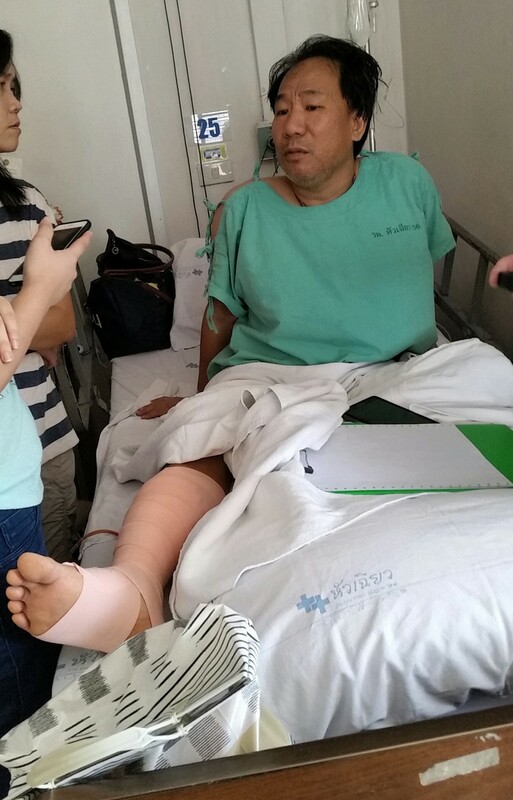 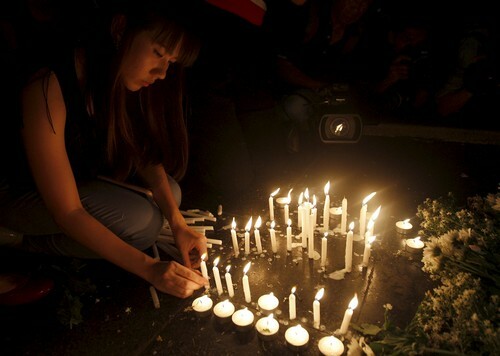 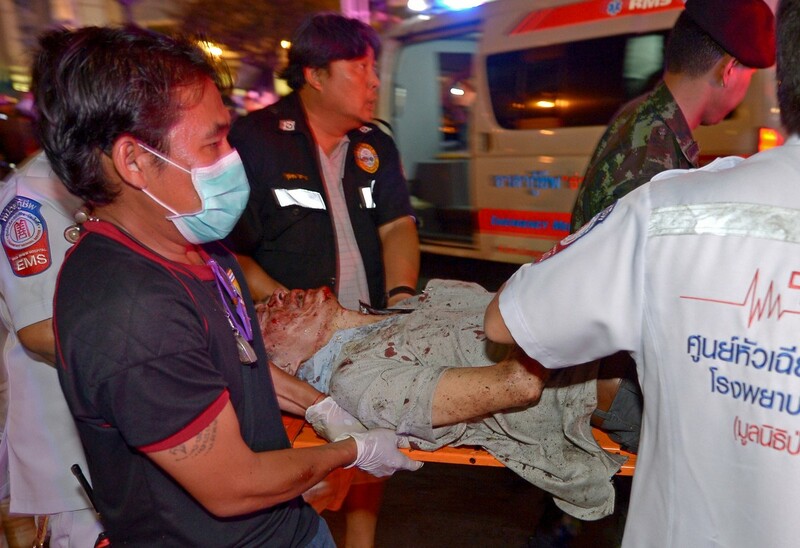 Investigators have said the attack was clearly aimed at damaging the tourism industry but insist that Chinese tourists - who visit Thailand in larger numbers than any other nationality - were not singled out. 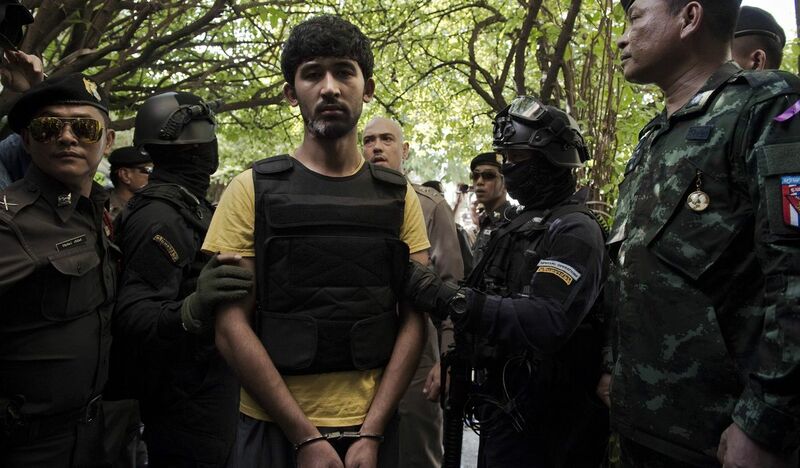 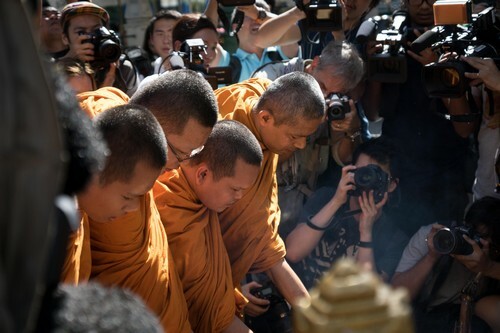 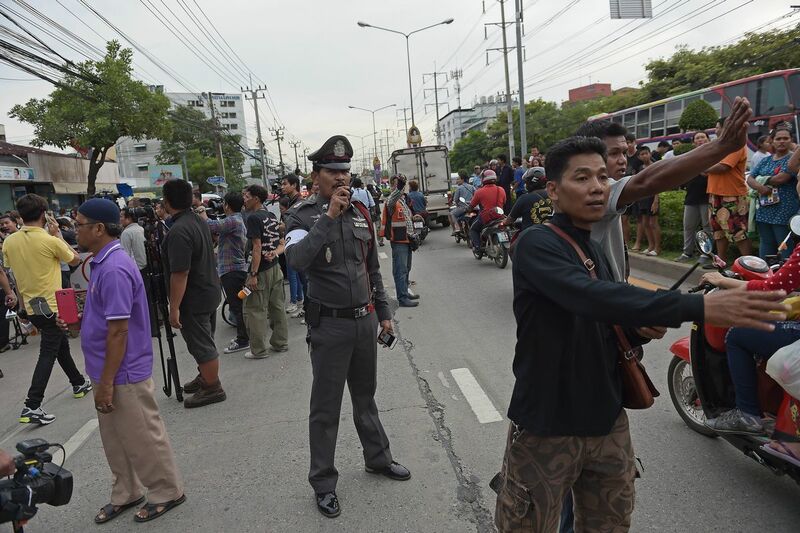 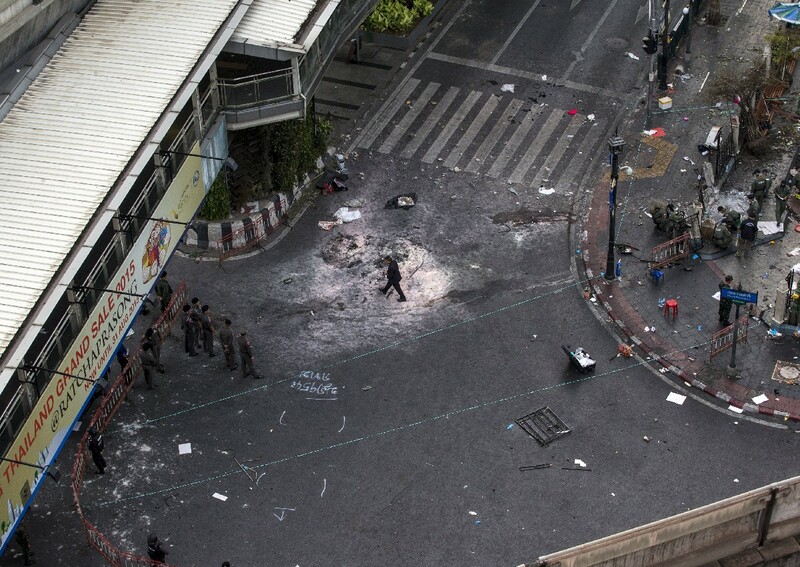 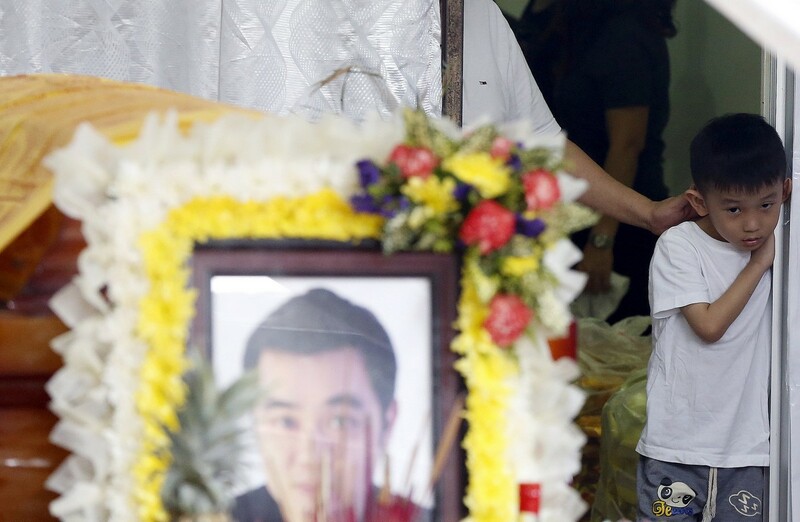 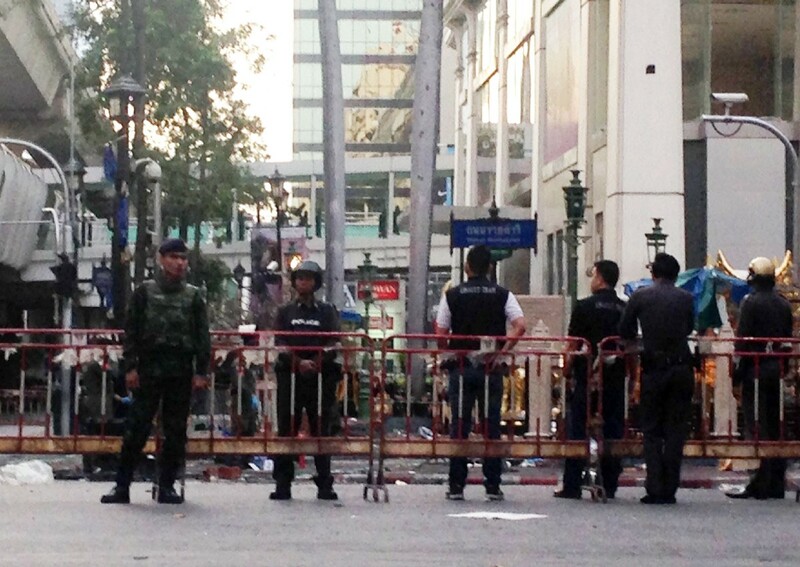 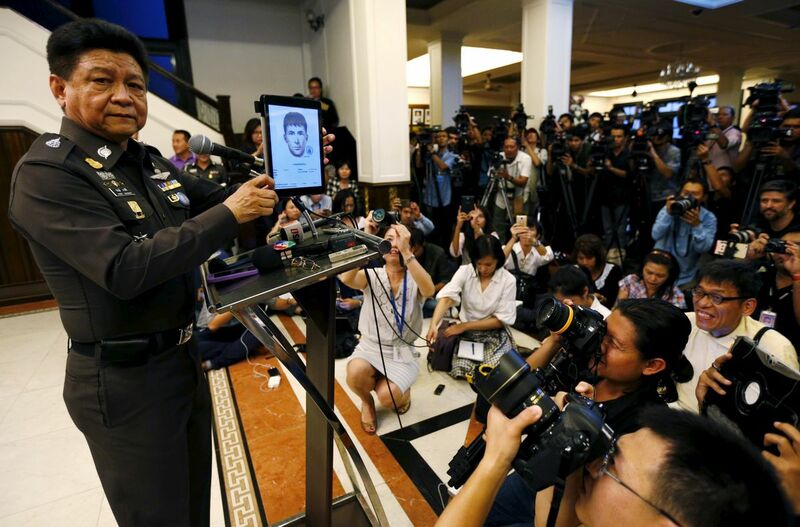 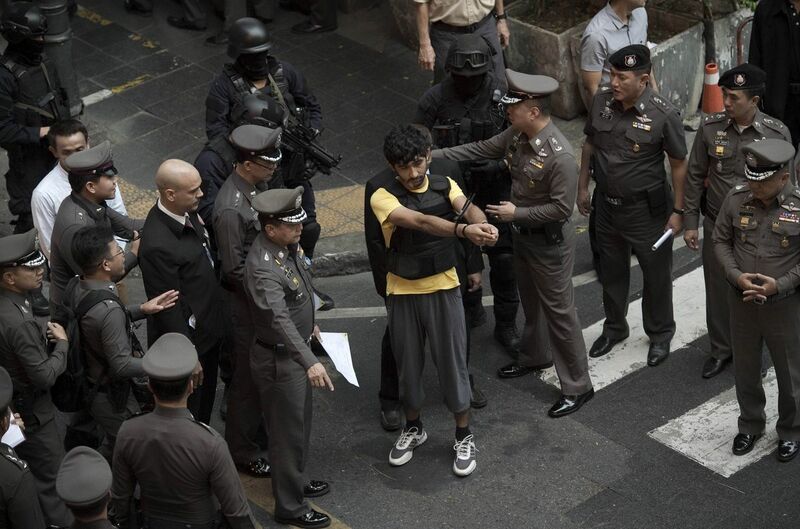 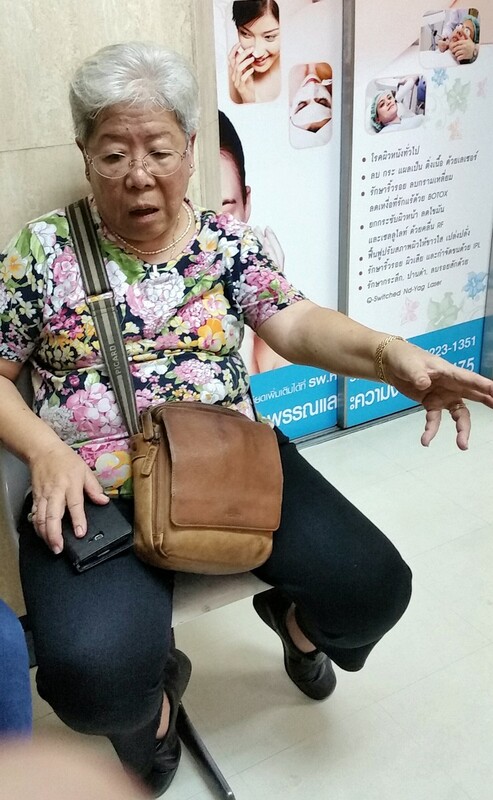 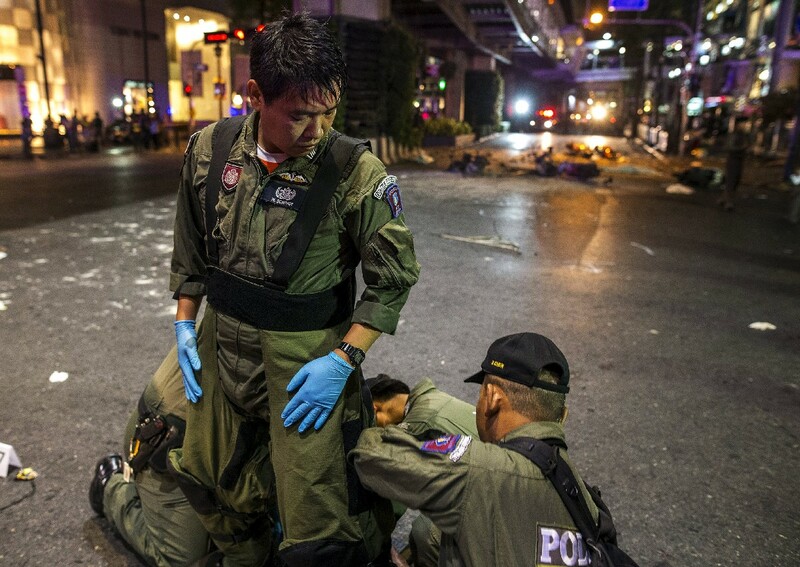 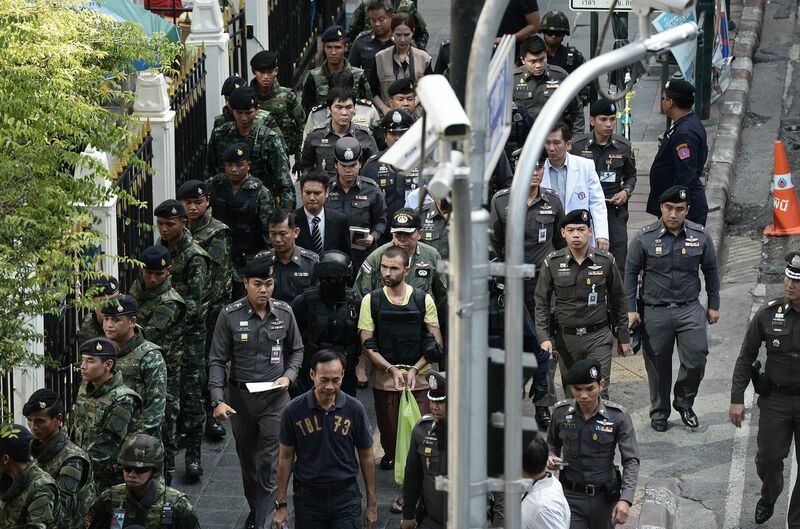 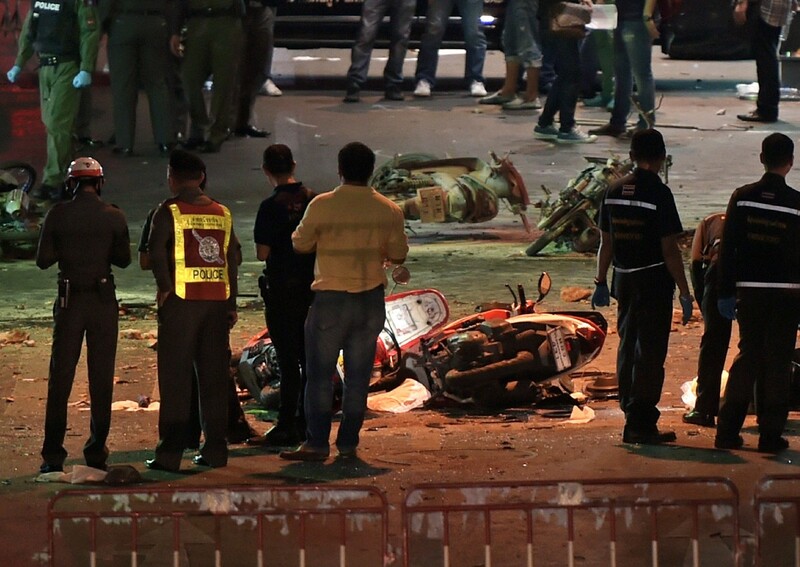 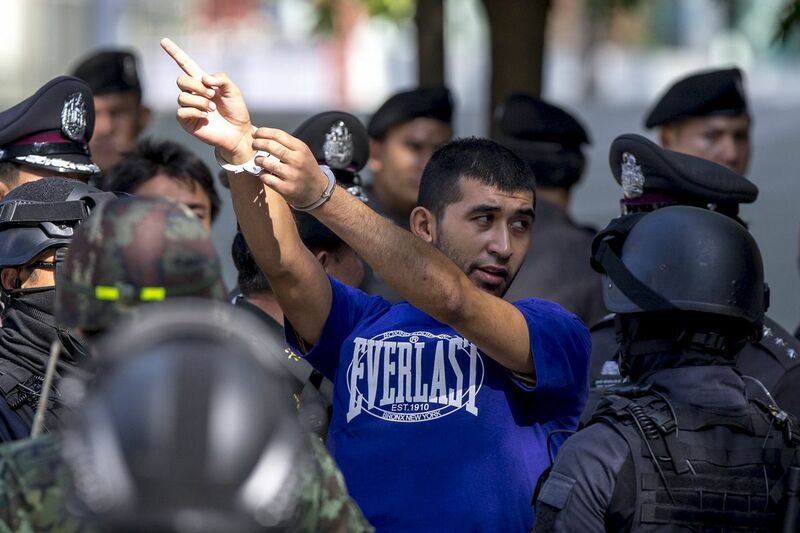 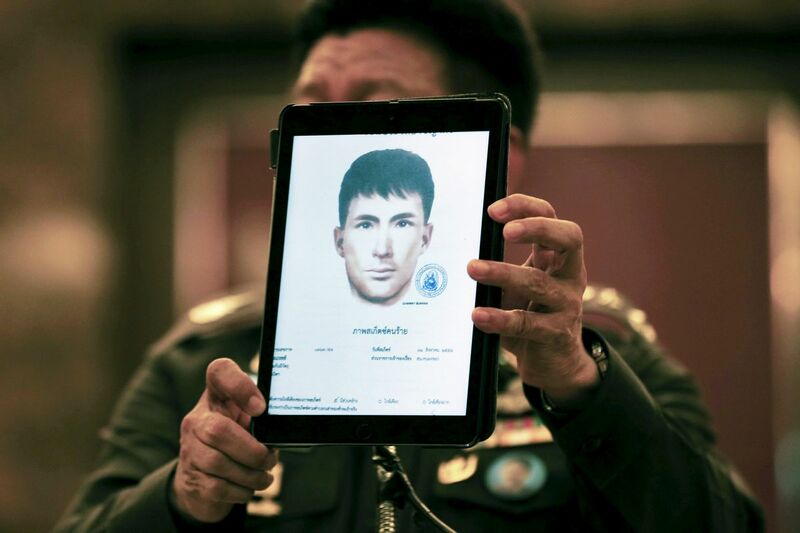 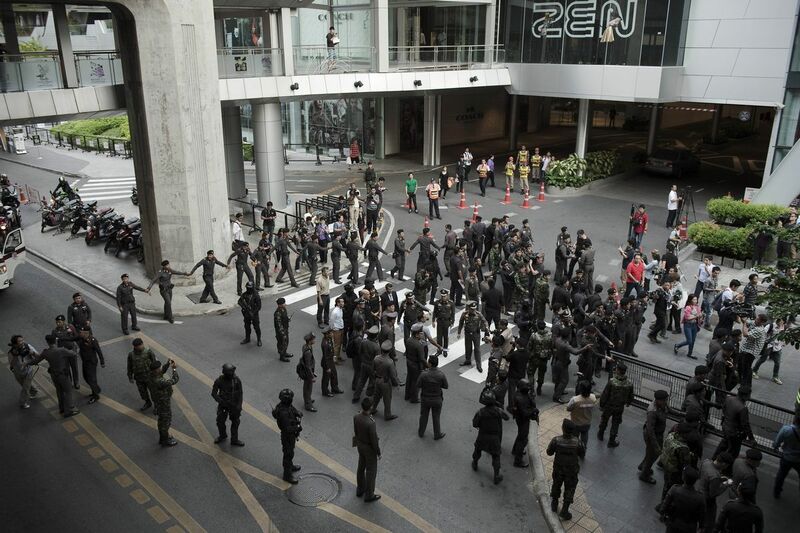 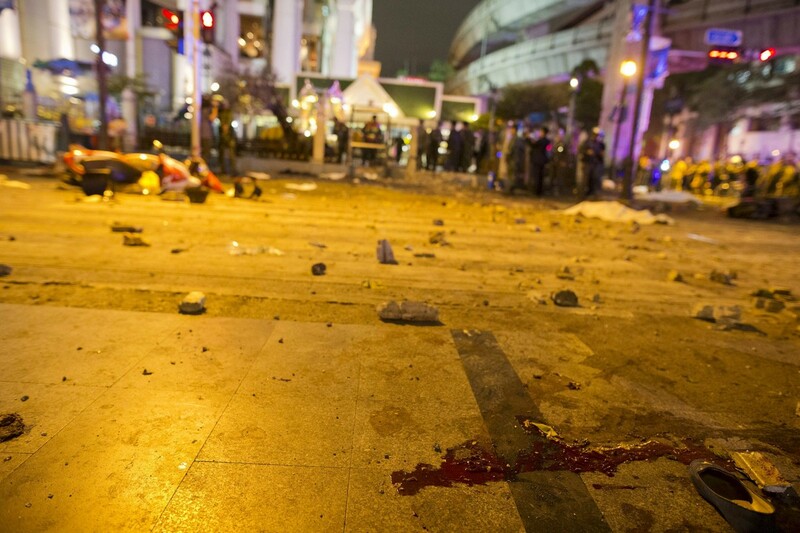 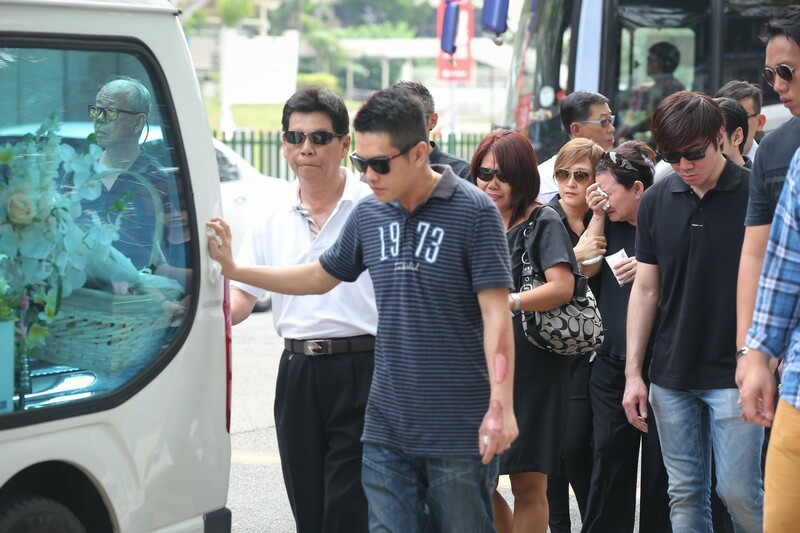 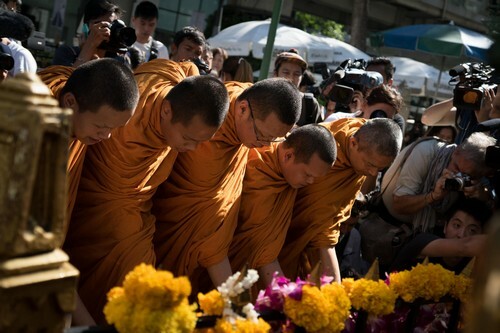 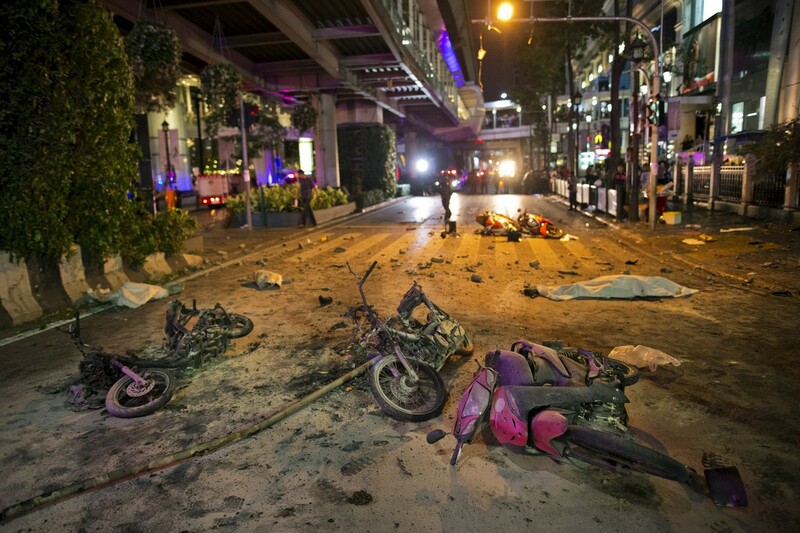 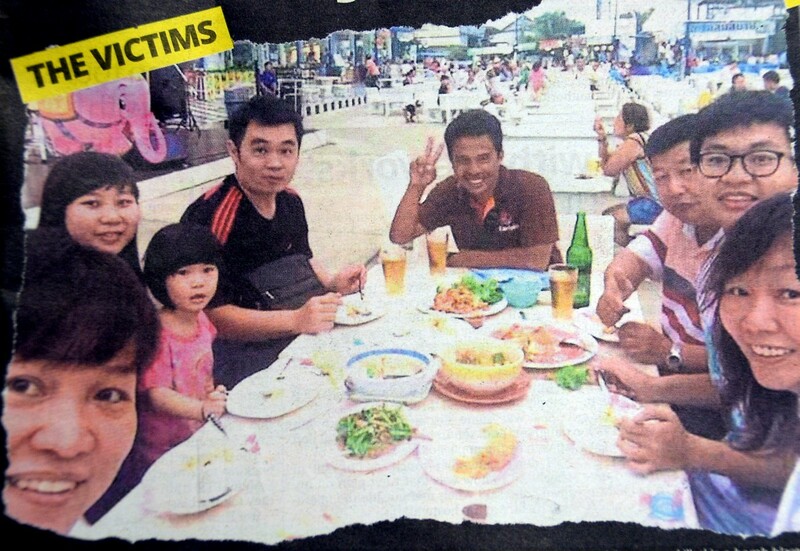 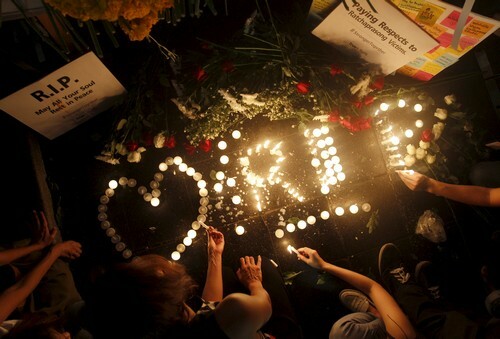 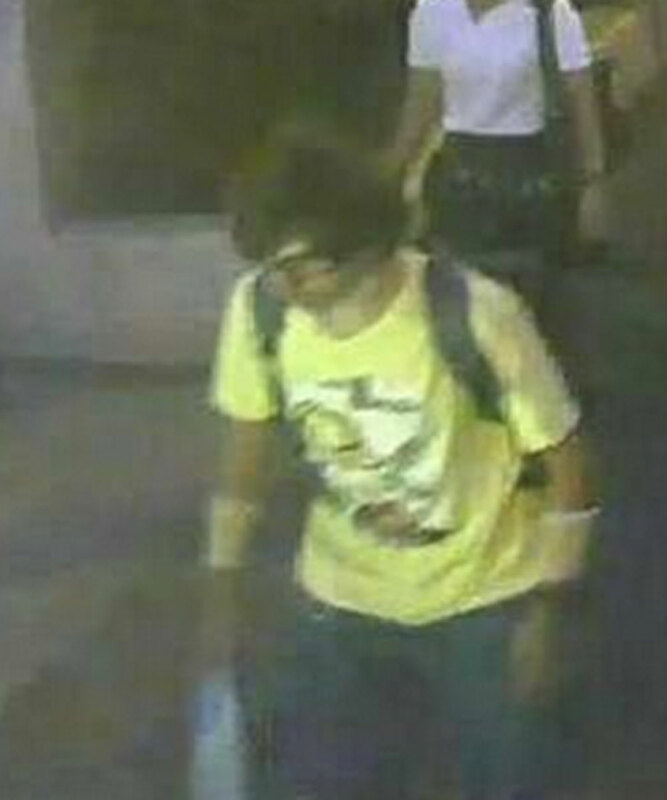 Earlier this week Thai police said they were not ready to exclude any possibility about who was behind the attack. 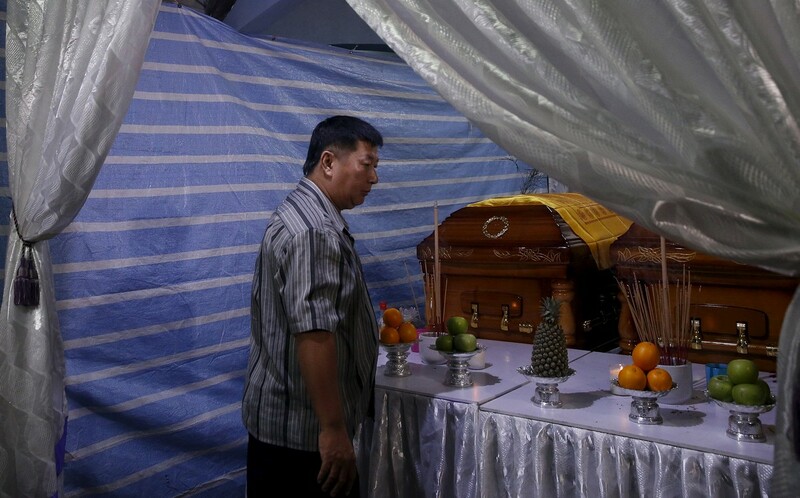 But speculation has grown over China's ethnic Uighur Muslim minority - or their co-religious sympathisers - being behind the attack, motivated by Thailand's forced repatriation of more than 100 Uighur refugees last month to an uncertain fate in China. 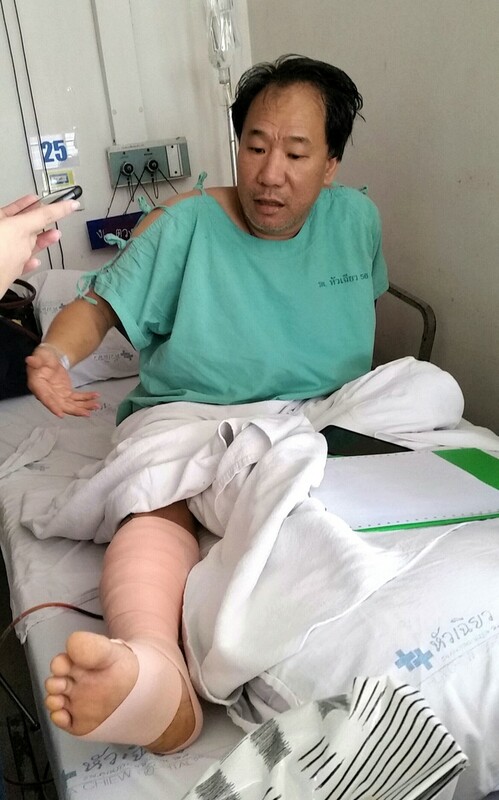 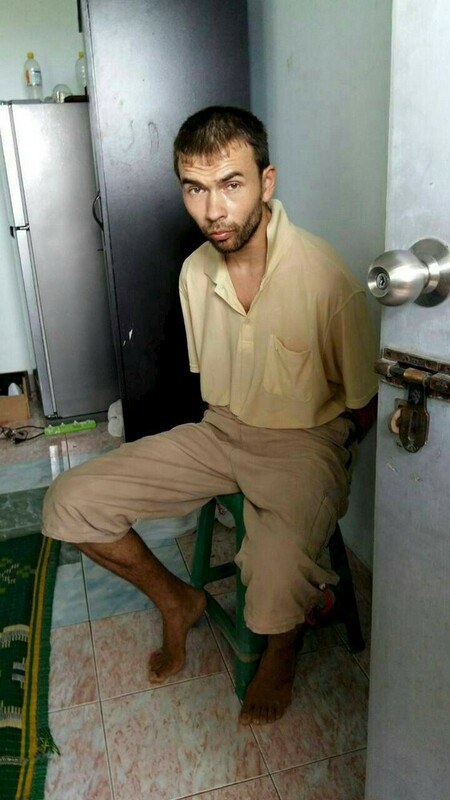 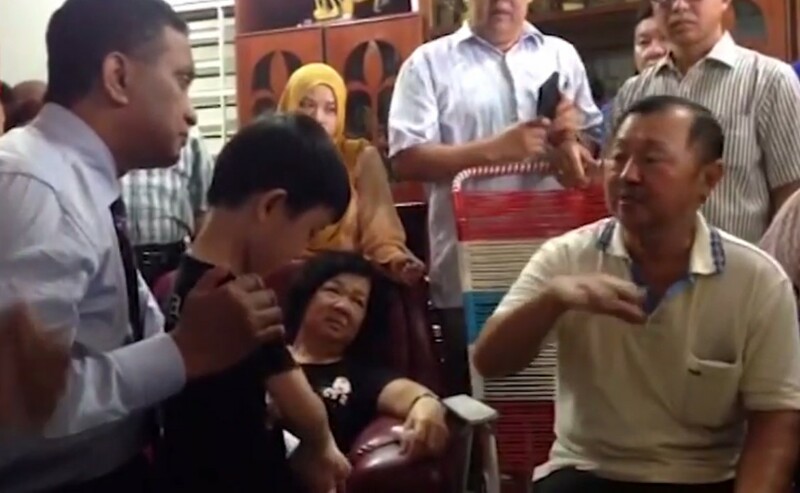 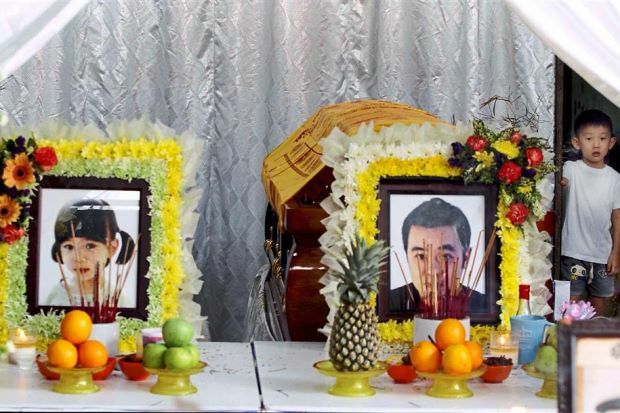 On Friday police said three Uighur Muslims, among dozens detained in the kingdom for illegal entry last year, had been questioned in eastern Sa Kaeo province, bordering Cambodia, over the bombing but provided no further details. 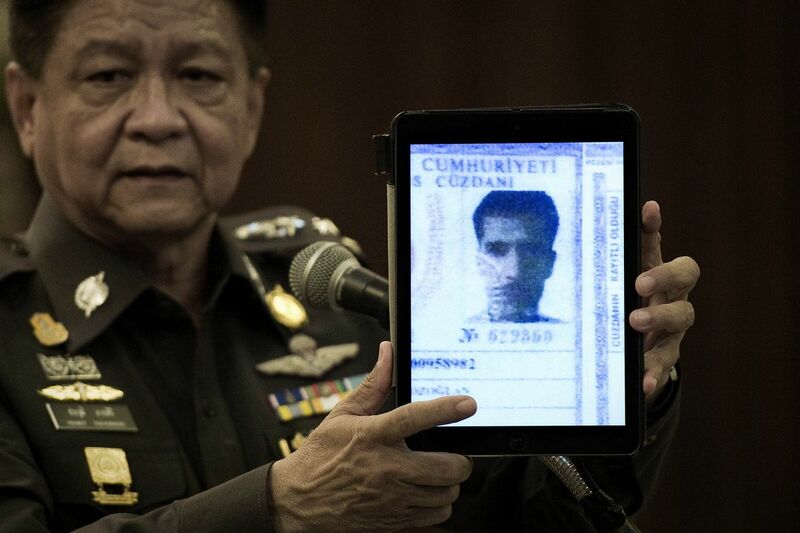 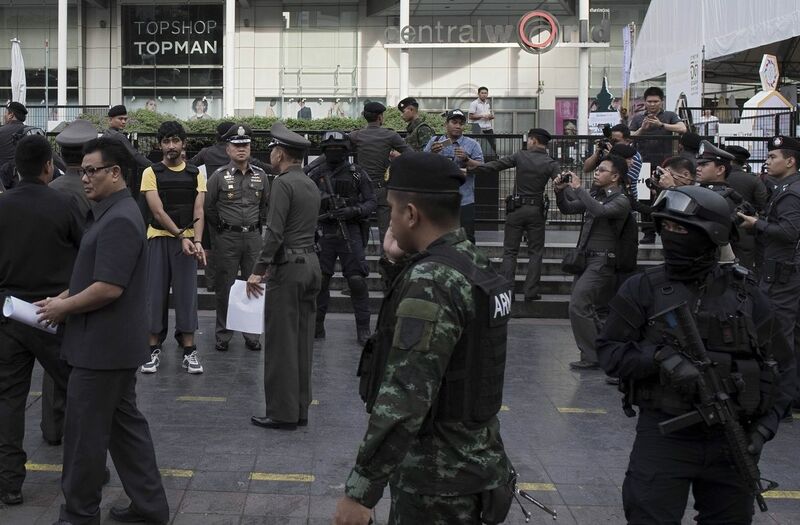 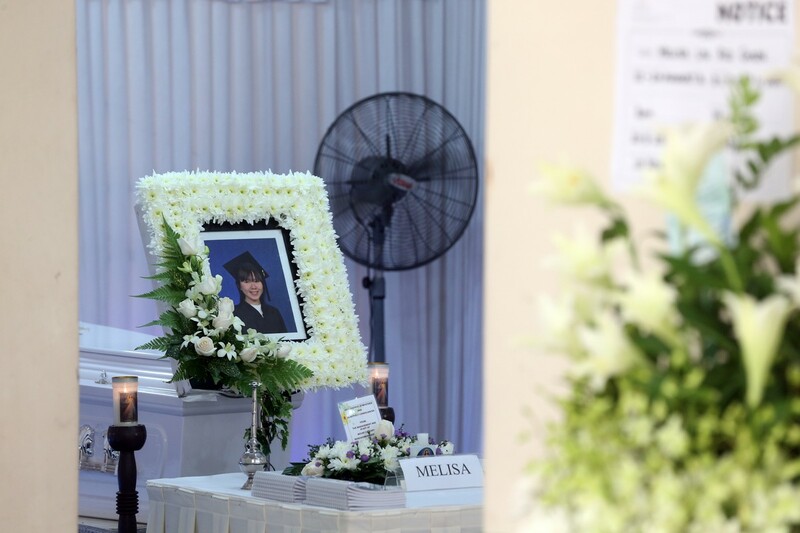 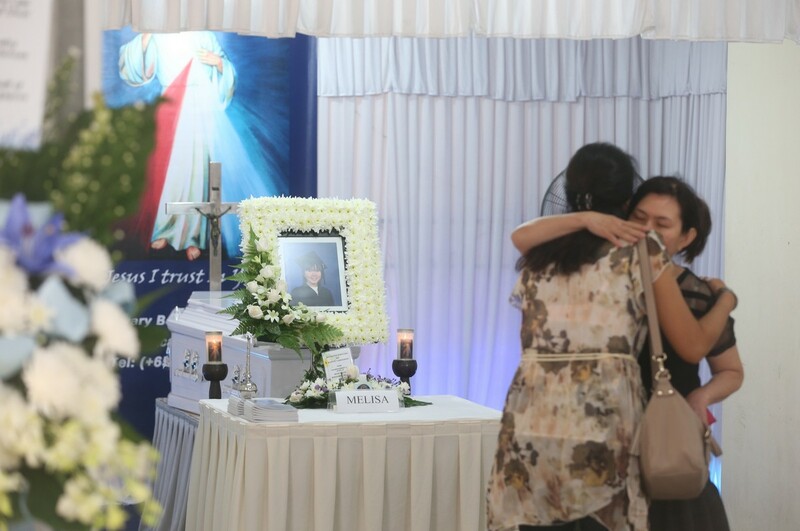 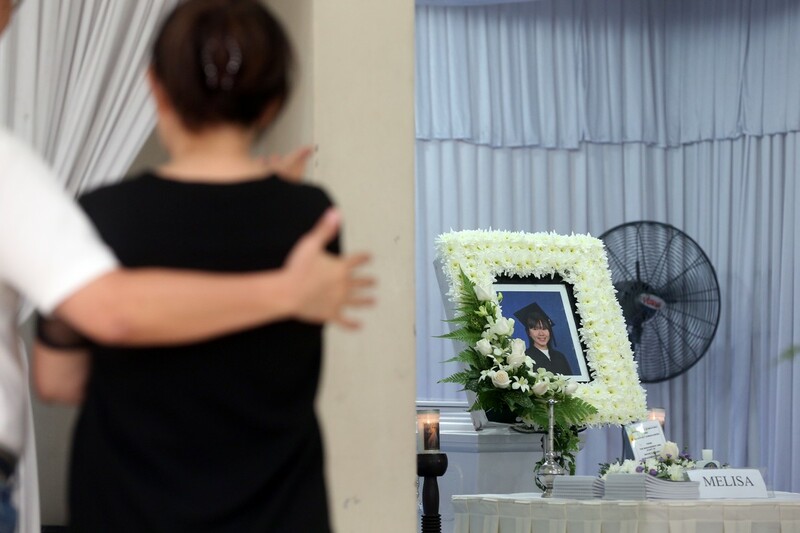 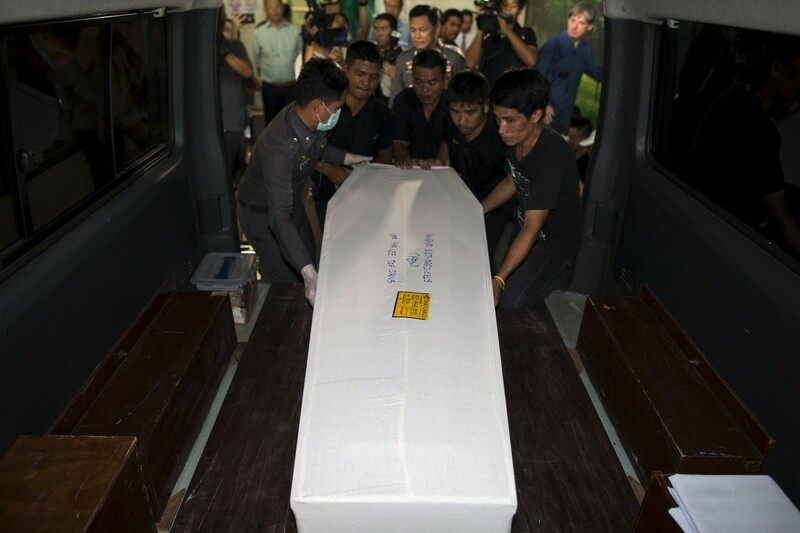 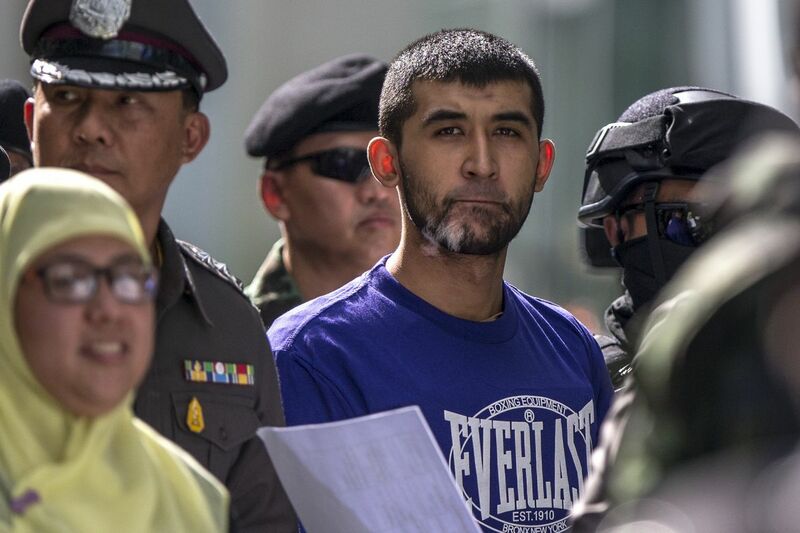 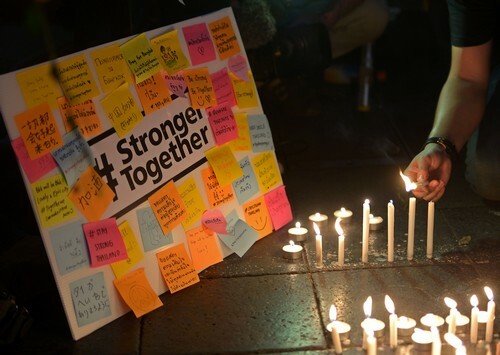 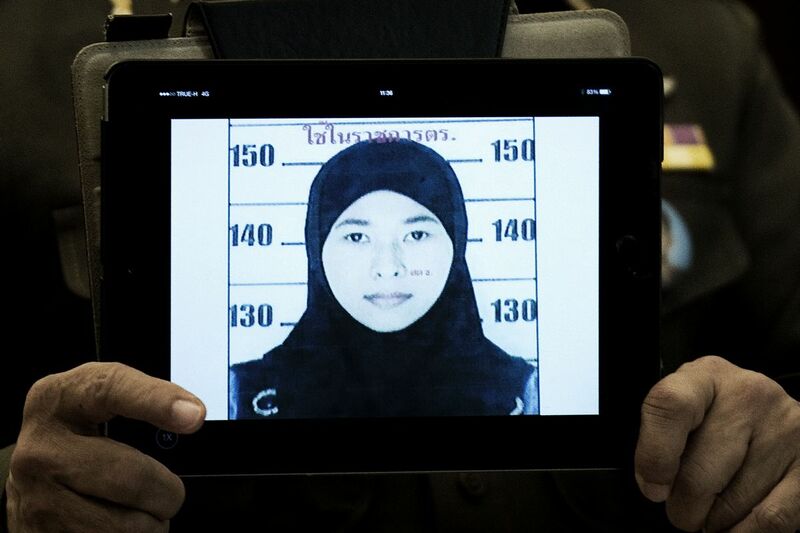 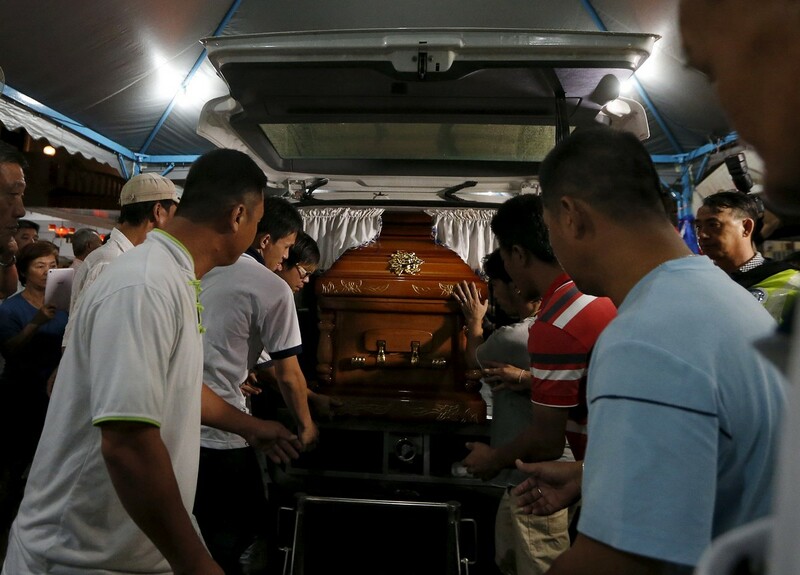 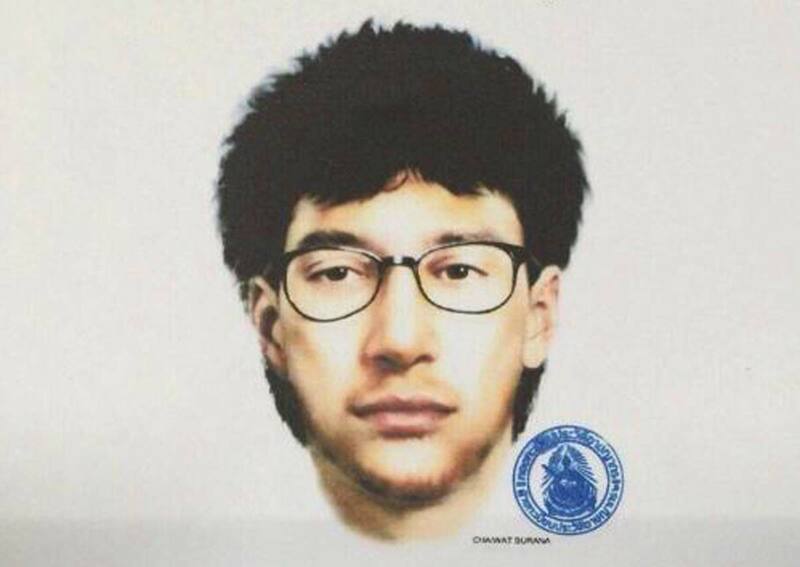 Other potential perpetrators named by the police and experts have included international jihadists, members of Thailand's southern Malay-Muslim insurgency, militants on both sides of Thailand's festering political divide or even someone with a personal grudge.